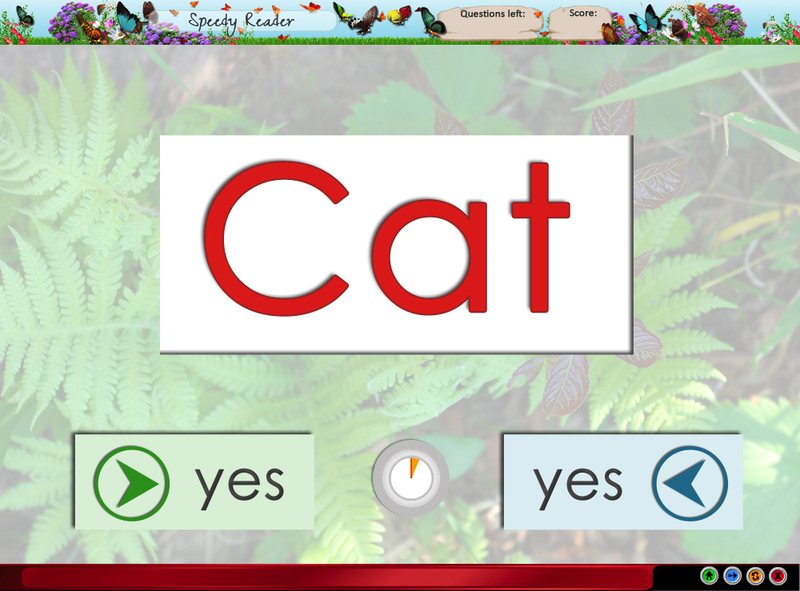 Tests for ability to identify letters. 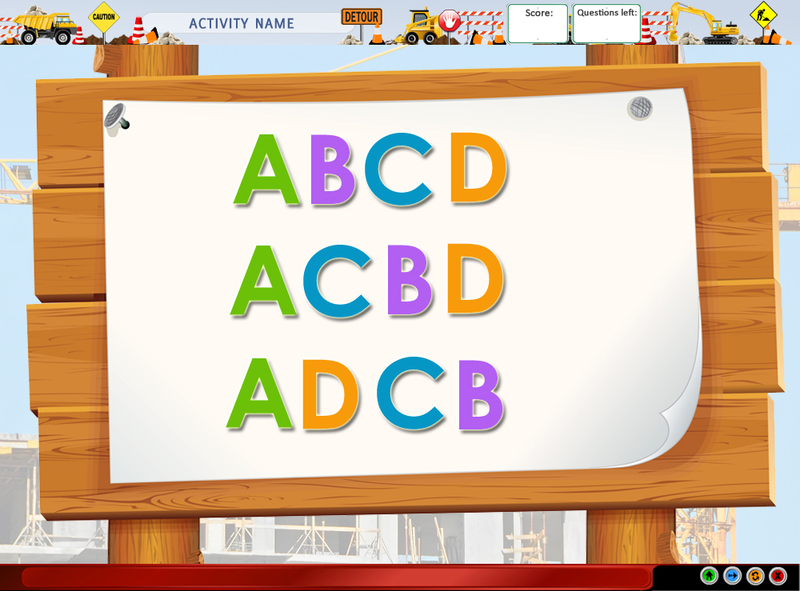 Tests for knowledge of Alphabetical Order. 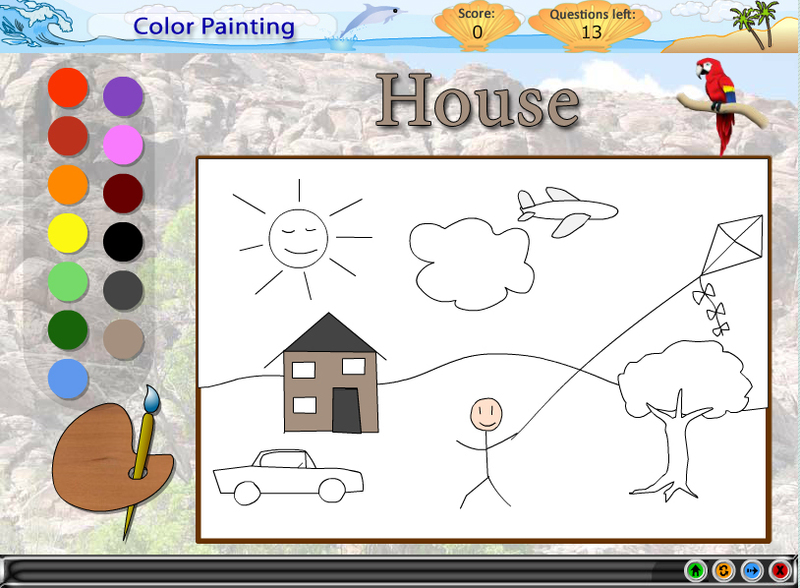 Child chooses a picture that matches a picture that is being sketched. 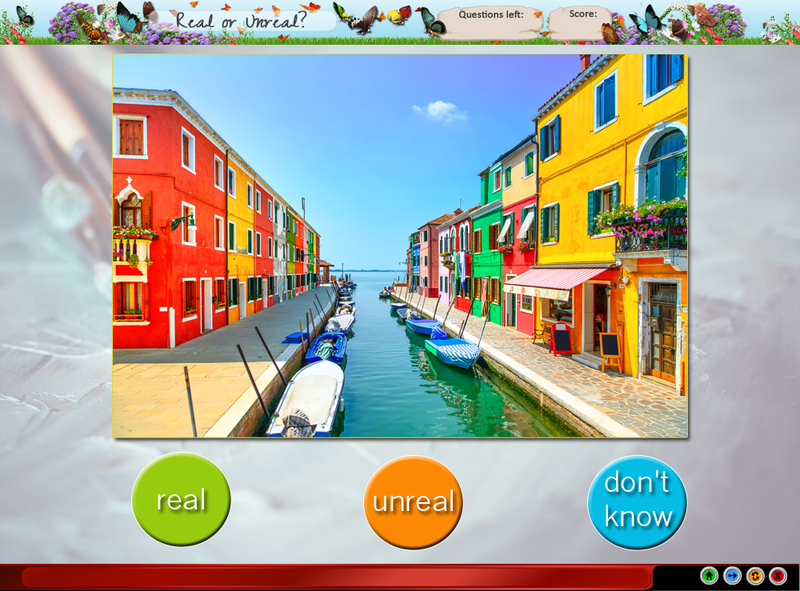 Child decides whether an image is real or a carton/illustration. 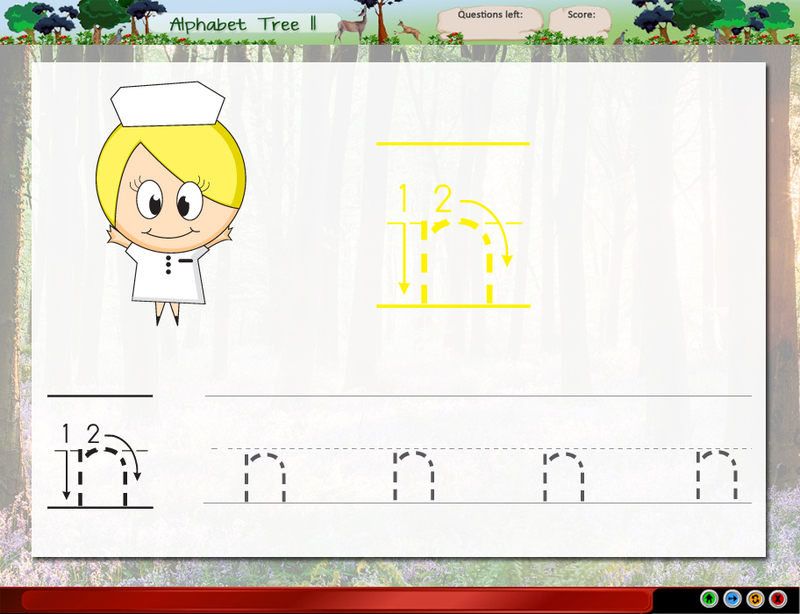 Tests for ability to identify consonants. 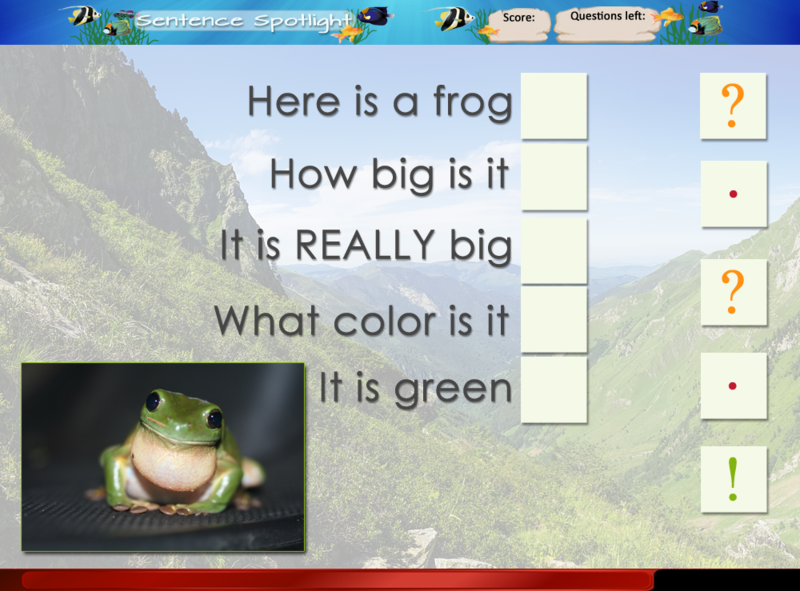 Tests for knowledge of Short Vowel Sounds. 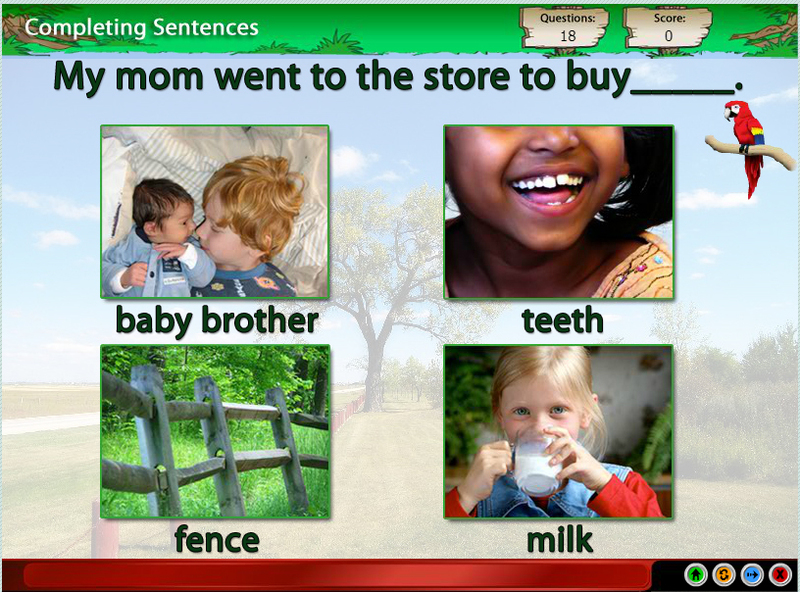 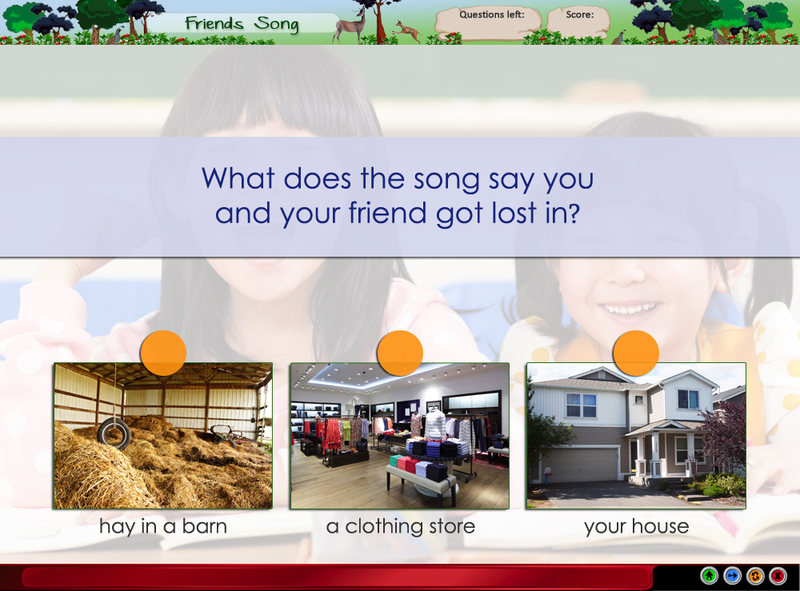 Tests for knowledge of Beginning and Ending consonant sounds. 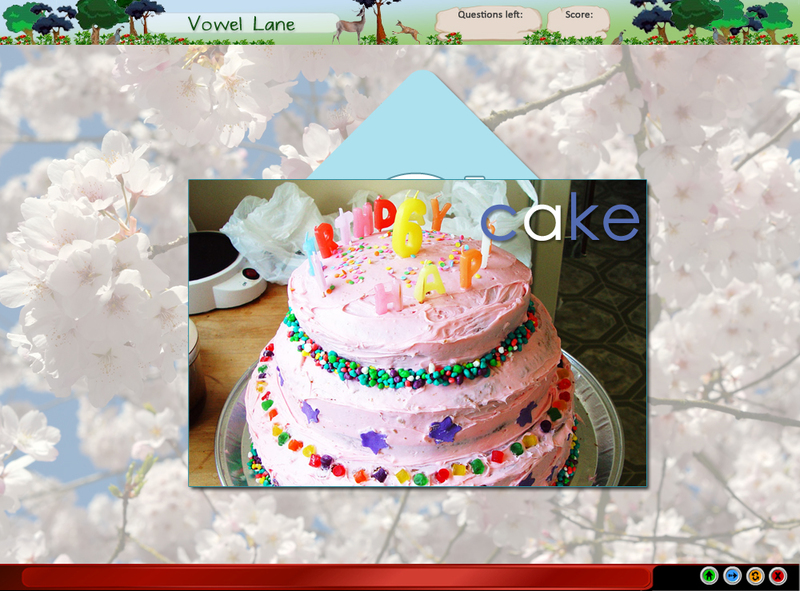 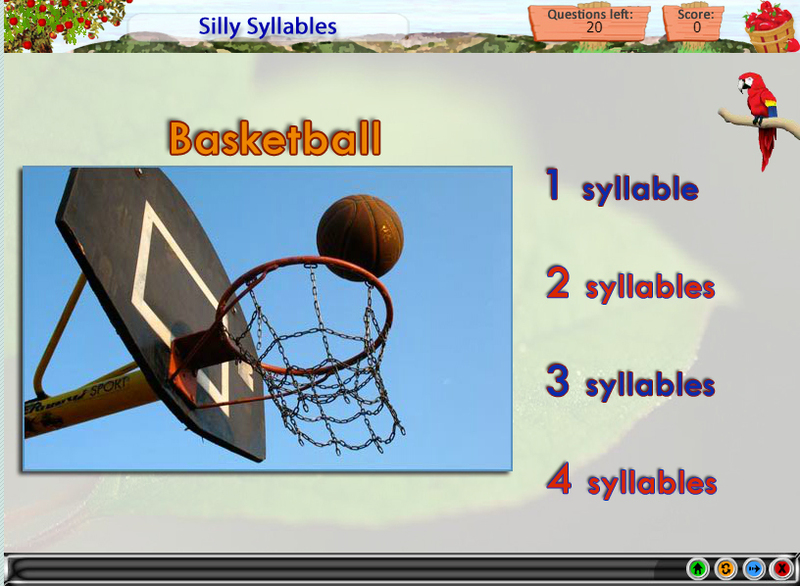 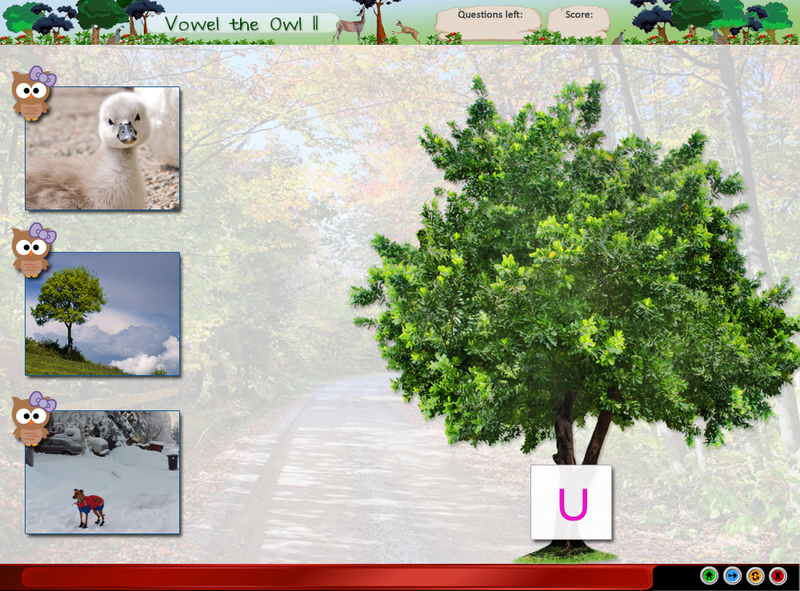 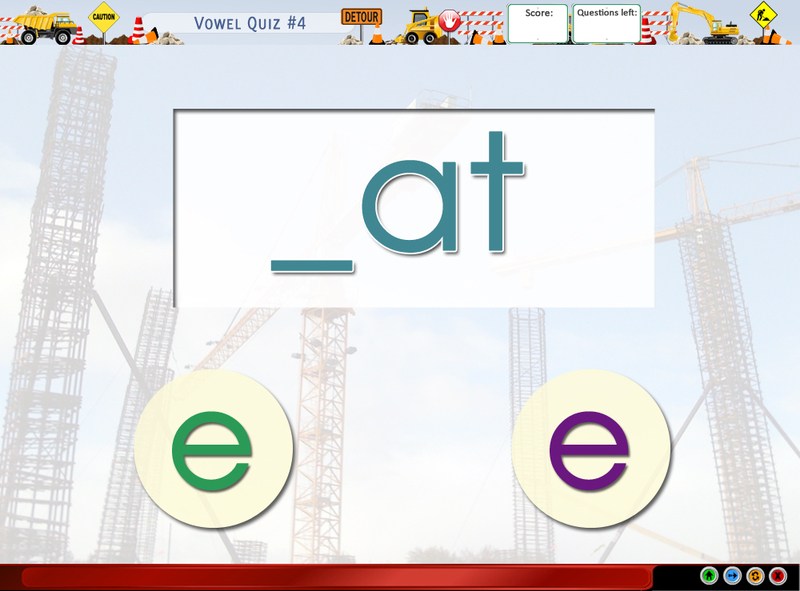 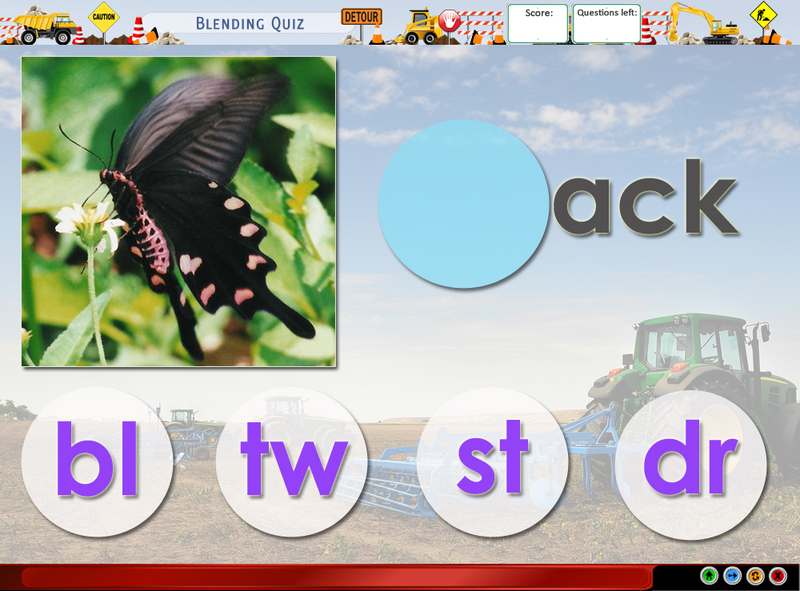 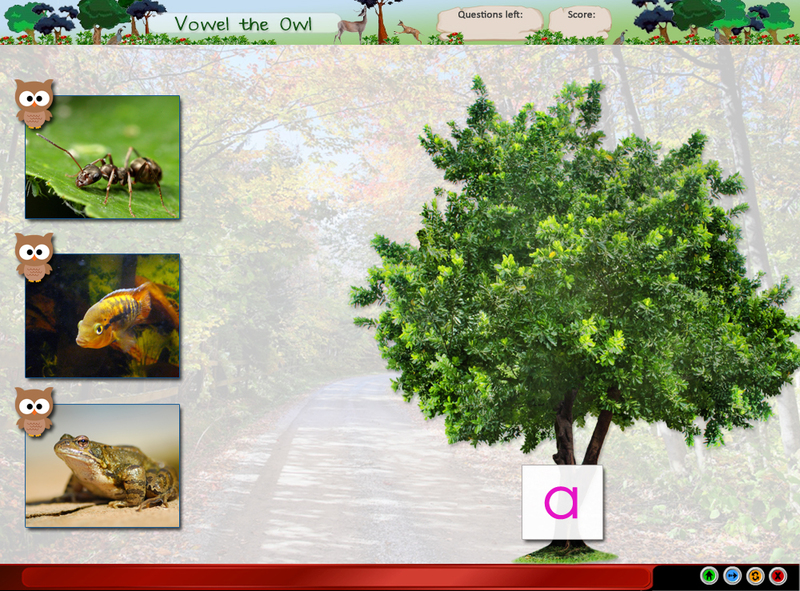 Tests for knowledge of Vowel sounds in Words (short). 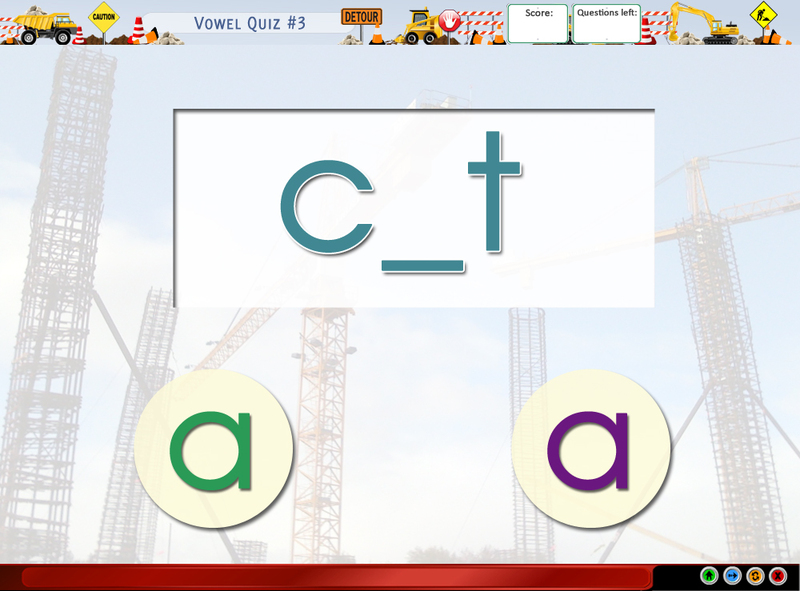 Tests for knowledge of Long Vowel Sounds. 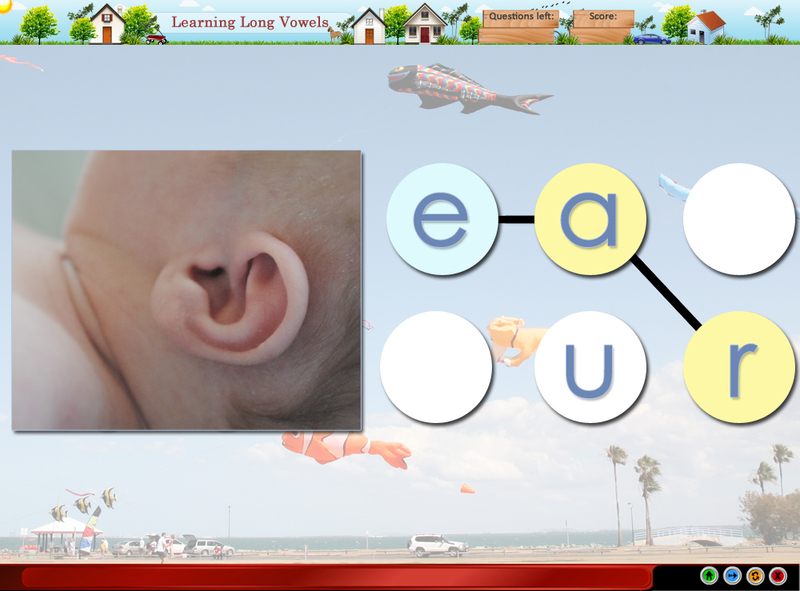 Tests for knowledge of Vowel sounds in Words (long). 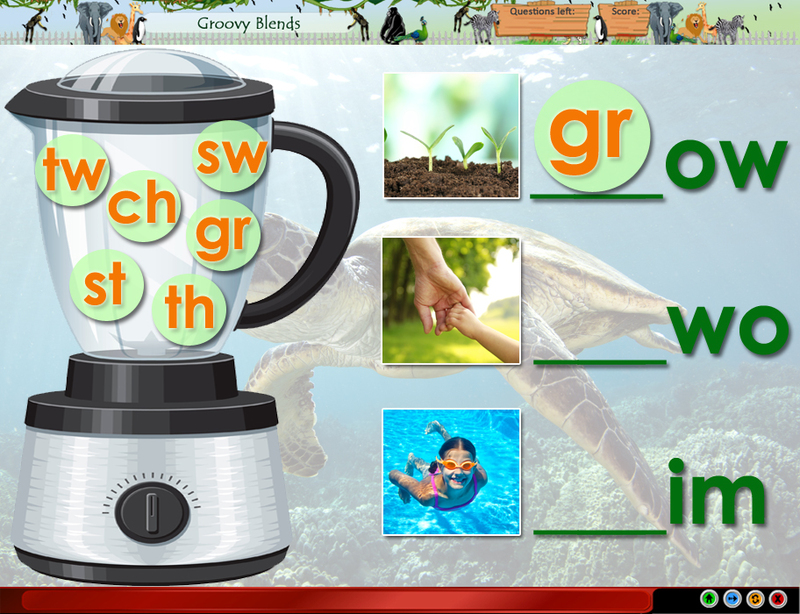 Tests for knowledge of how blends make words. 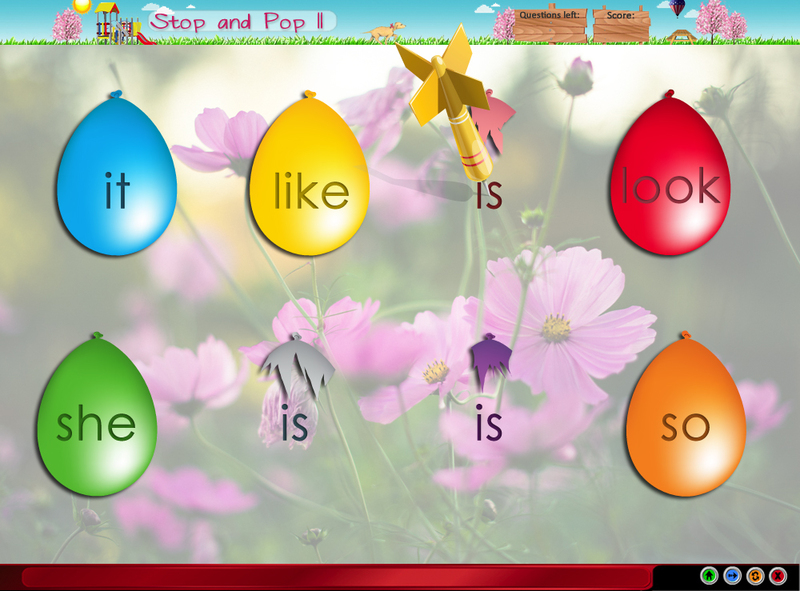 Child decides whether a phrase or situation is true or make believe. 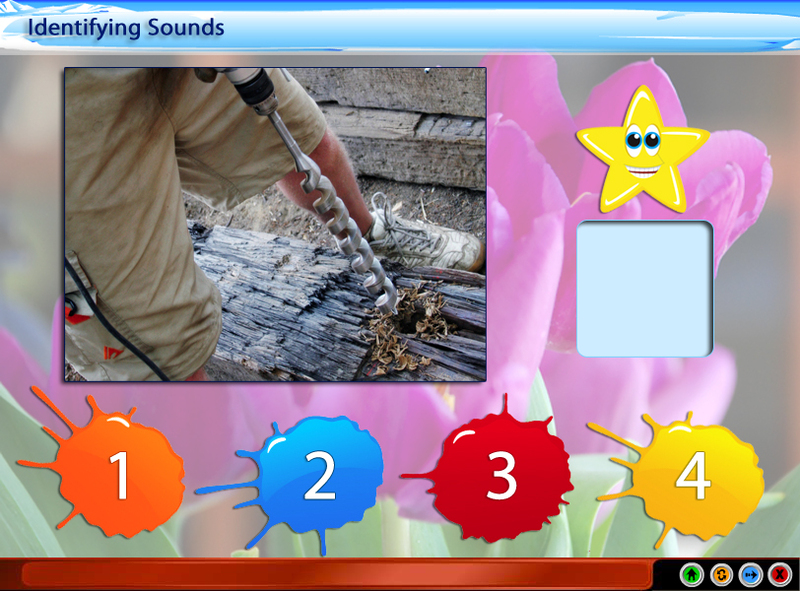 Tests for knowledge of which sound to use to complete word (initial, medial and ending). 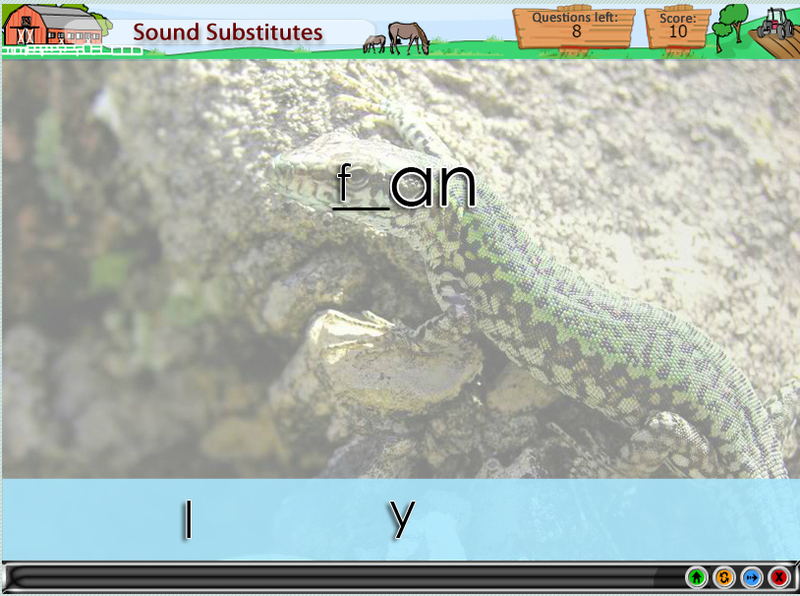 Tests ability to spell words from sounds given. 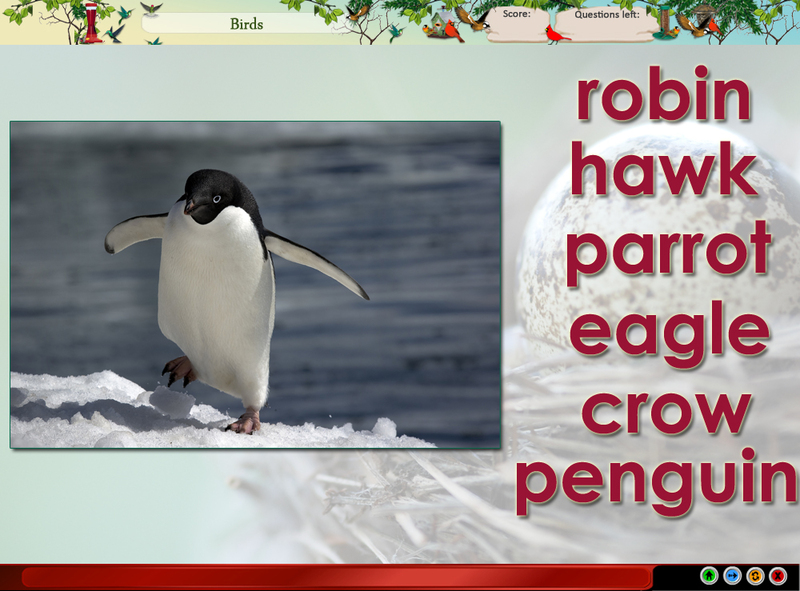 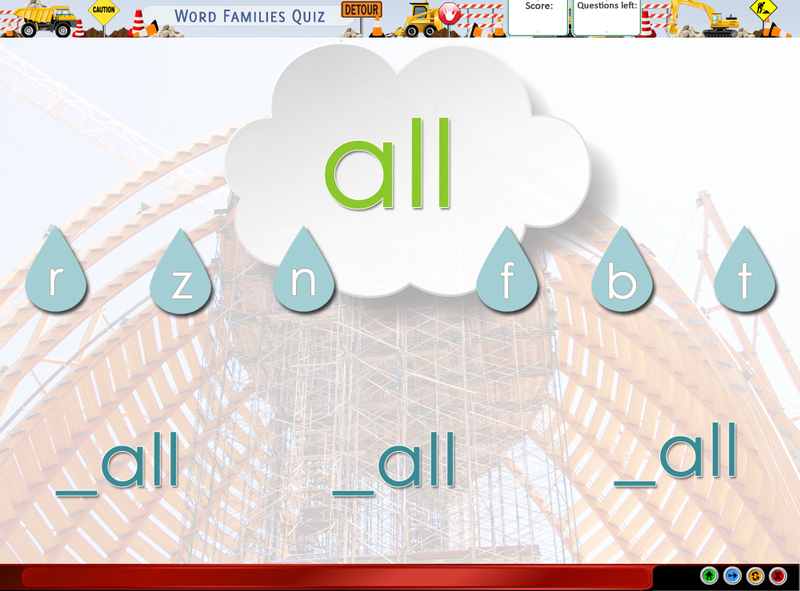 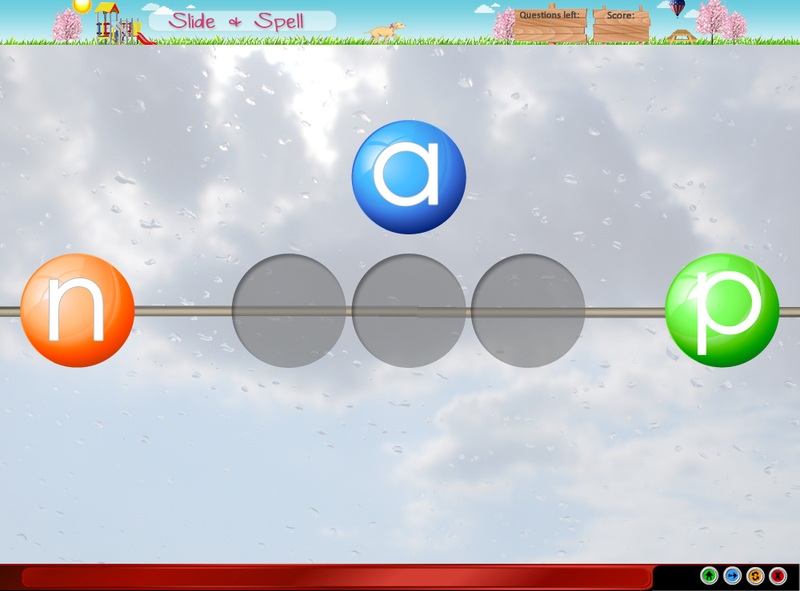 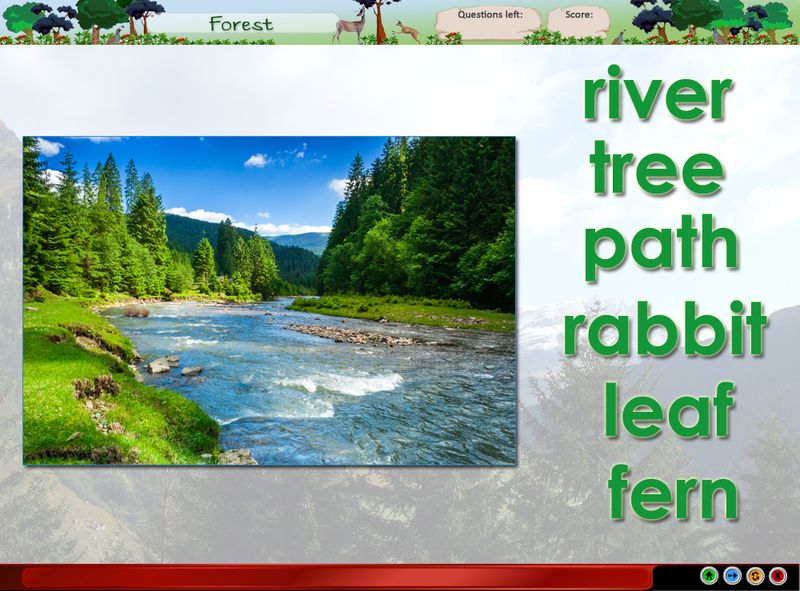 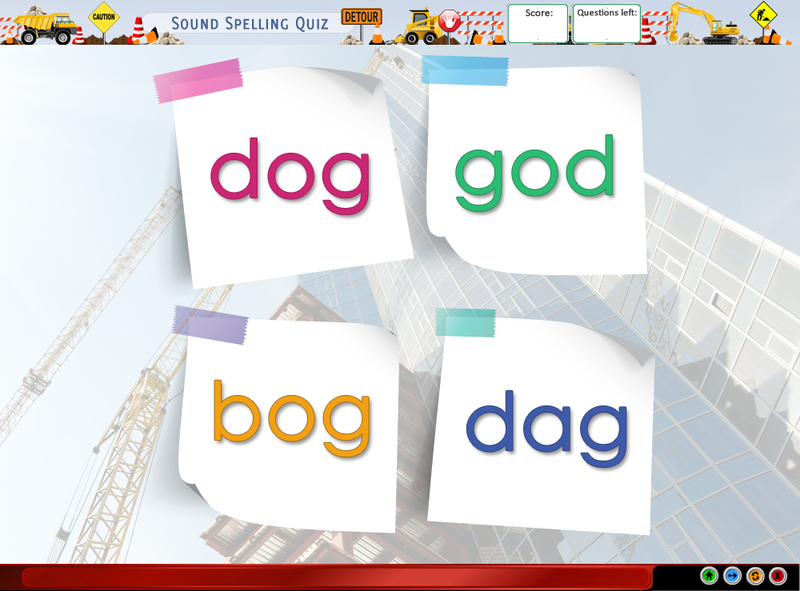 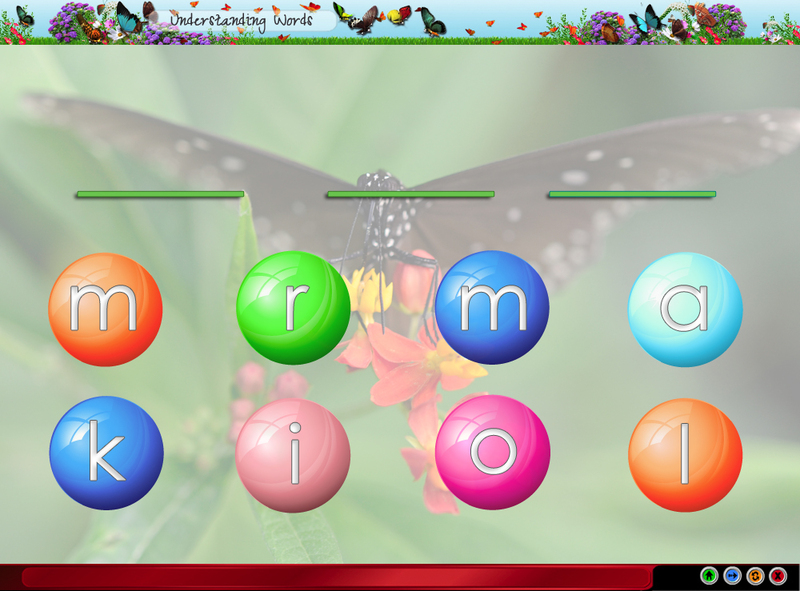 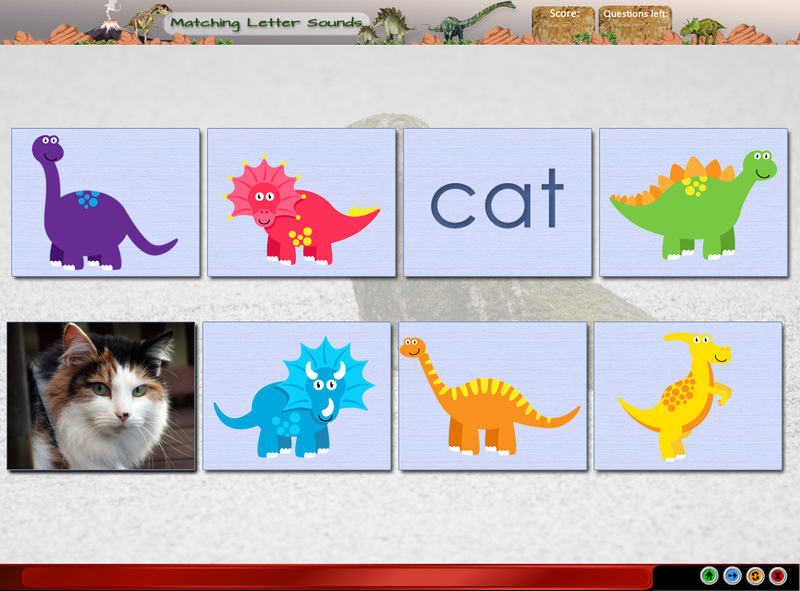 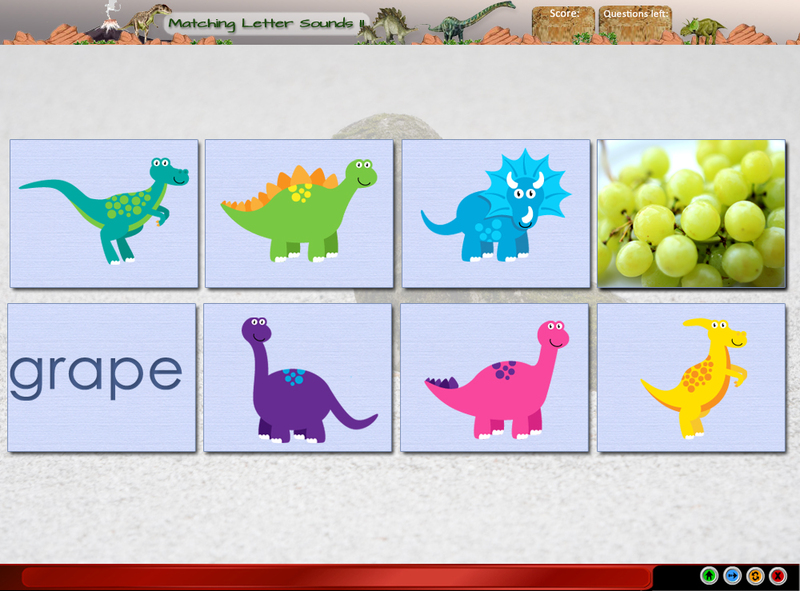 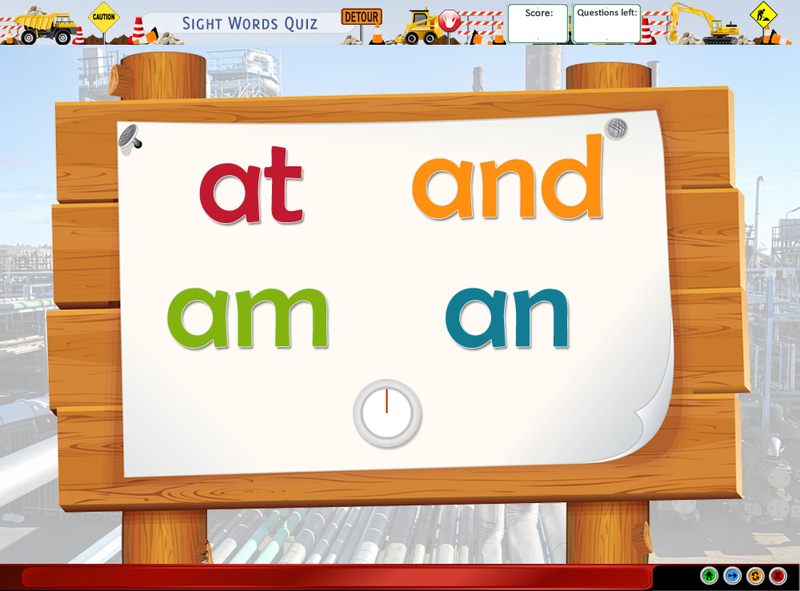 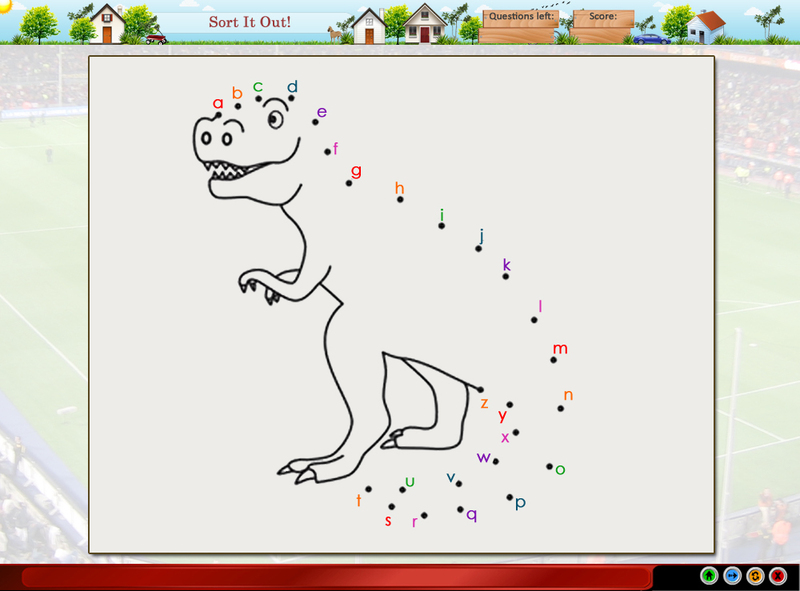 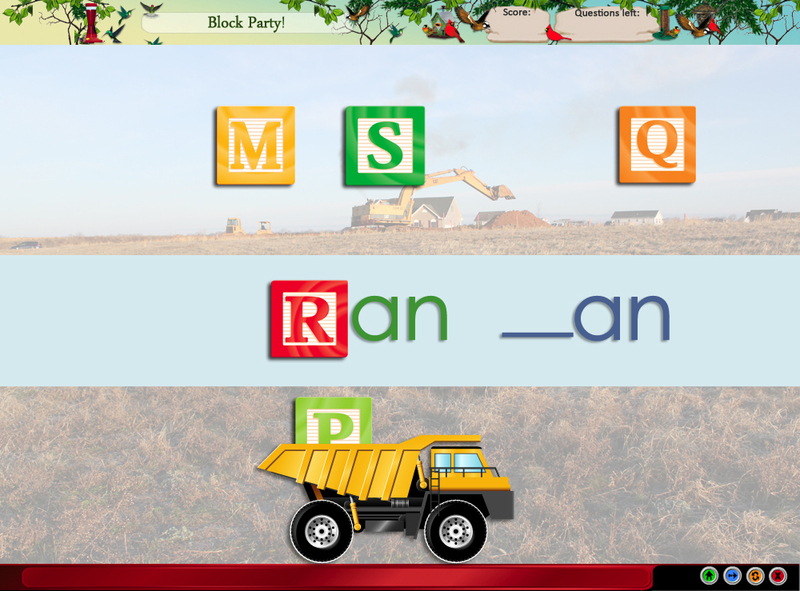 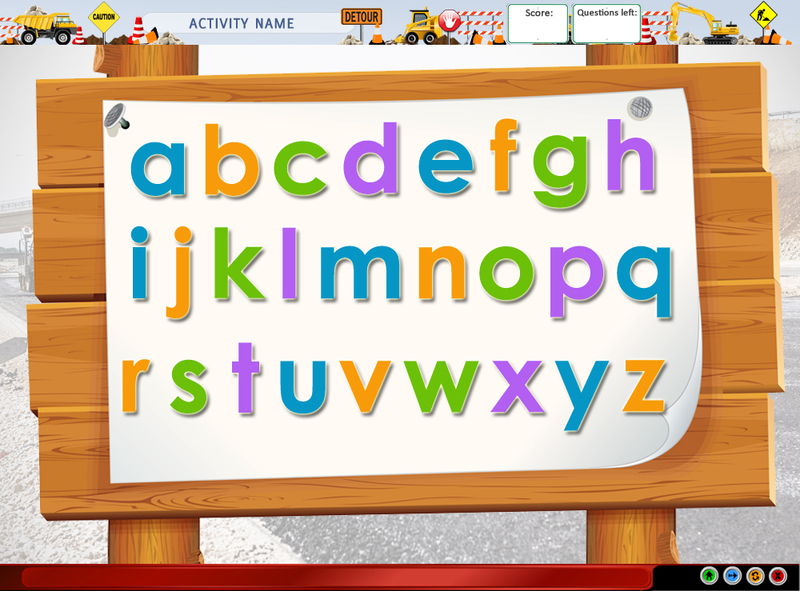 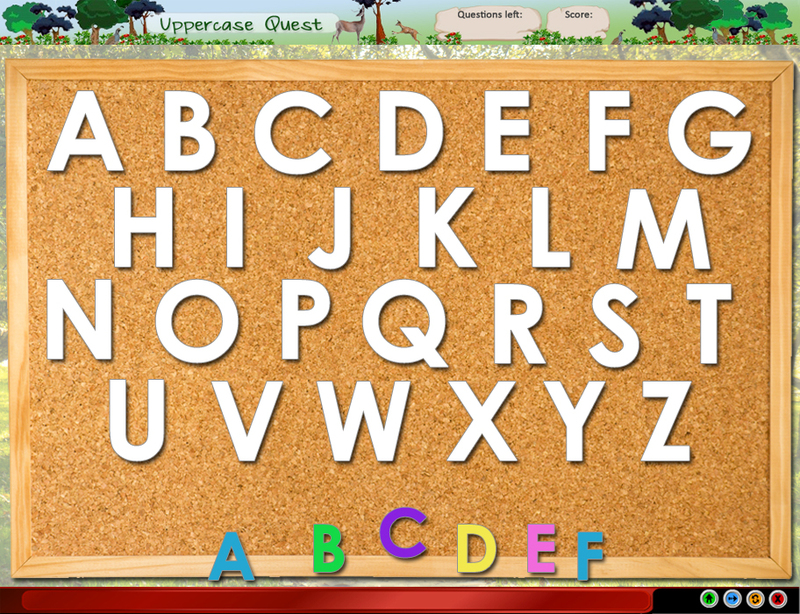 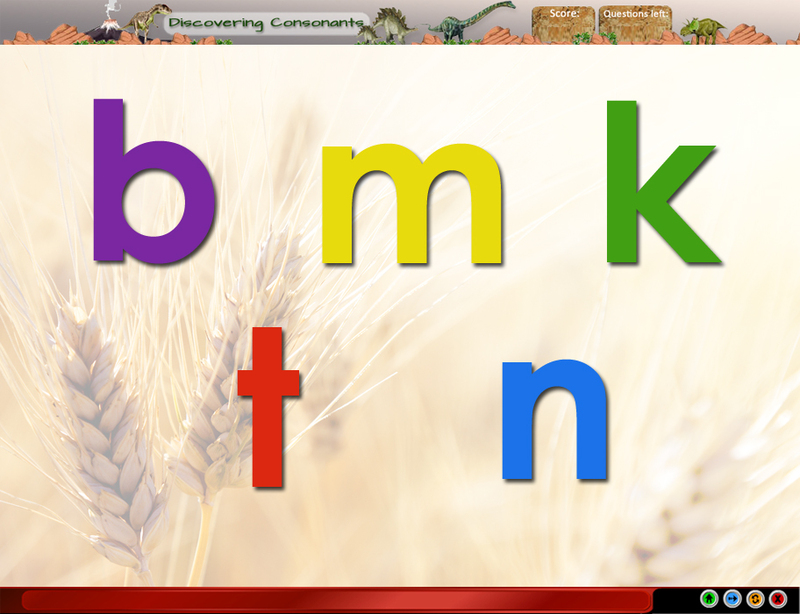 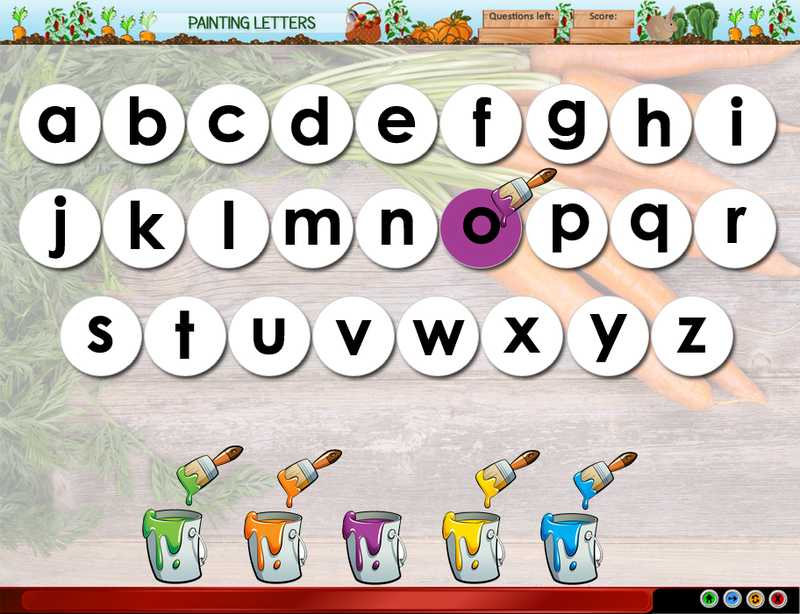 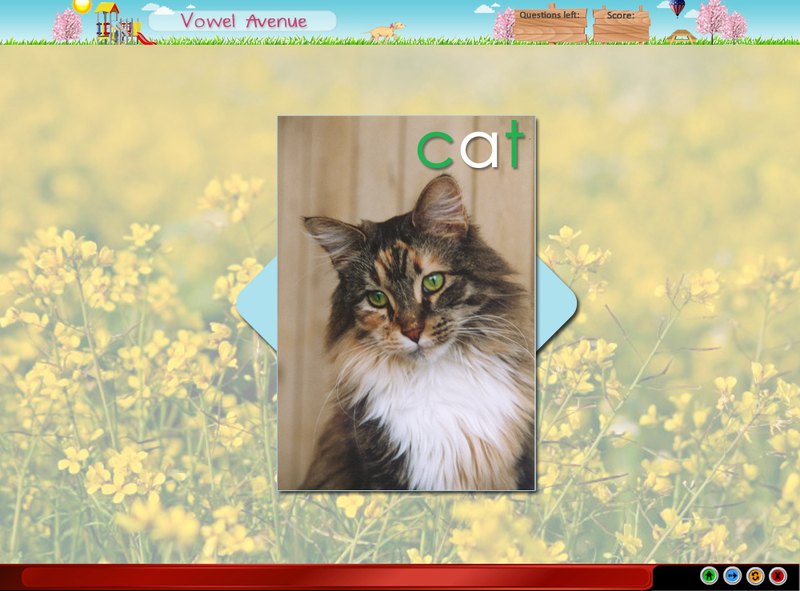 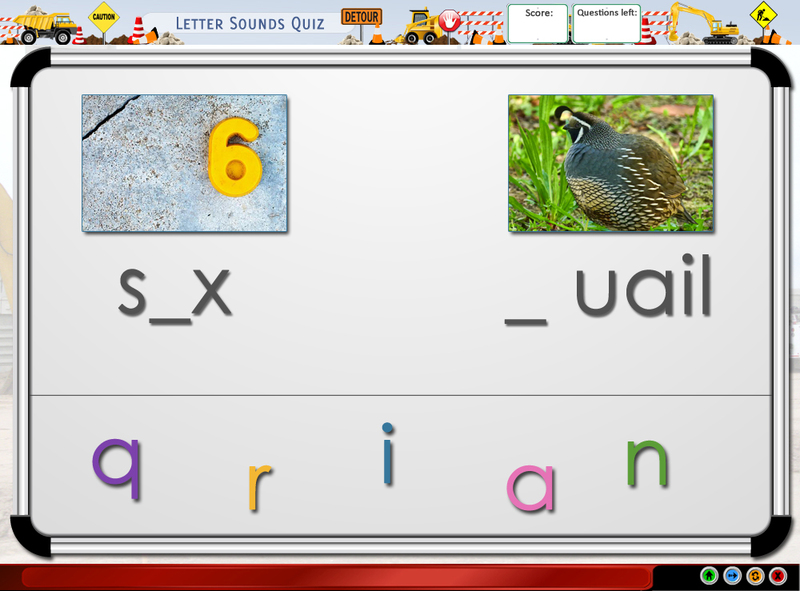 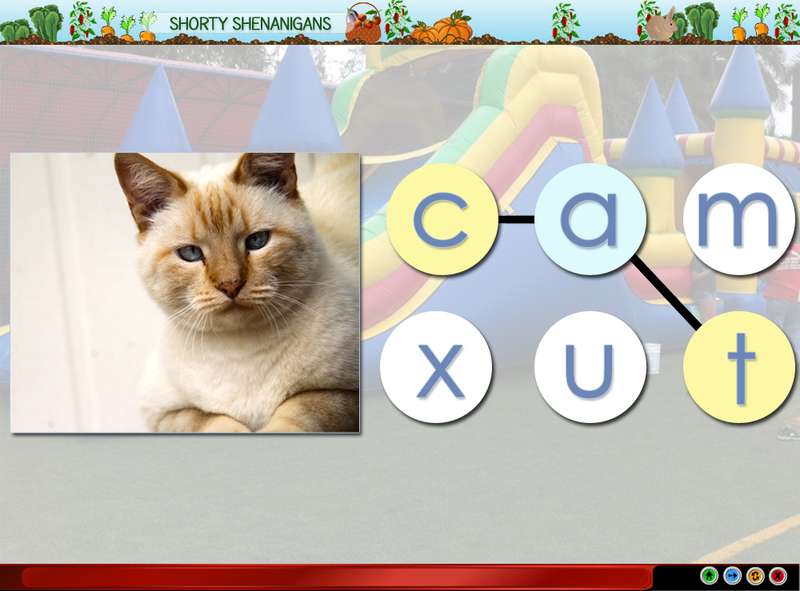 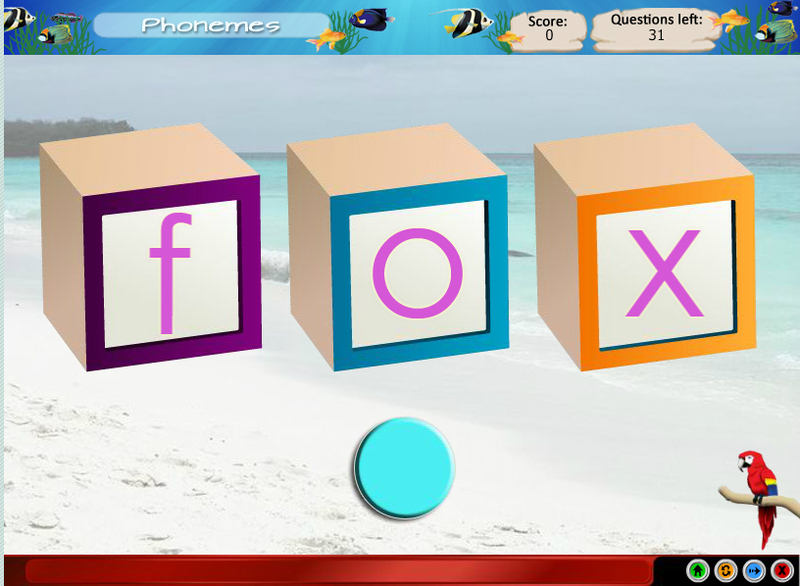 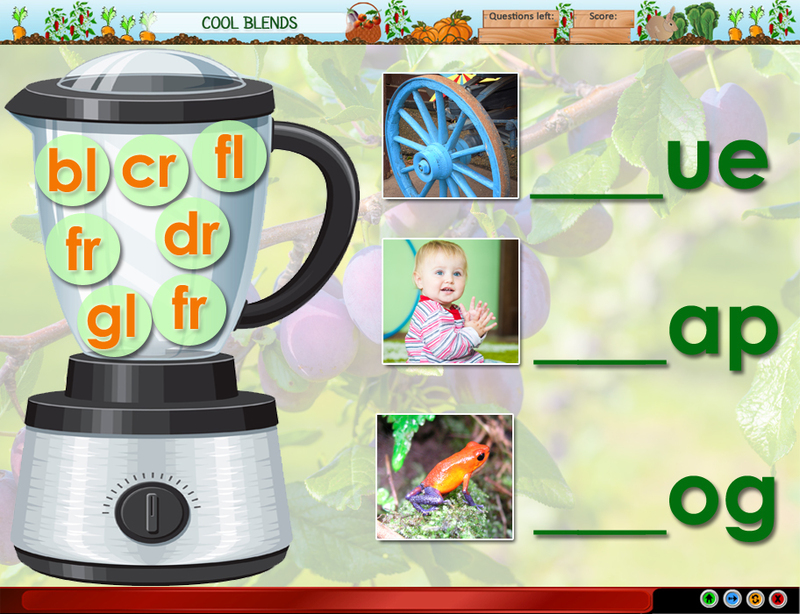 Tests ability to make words from letters and word families. 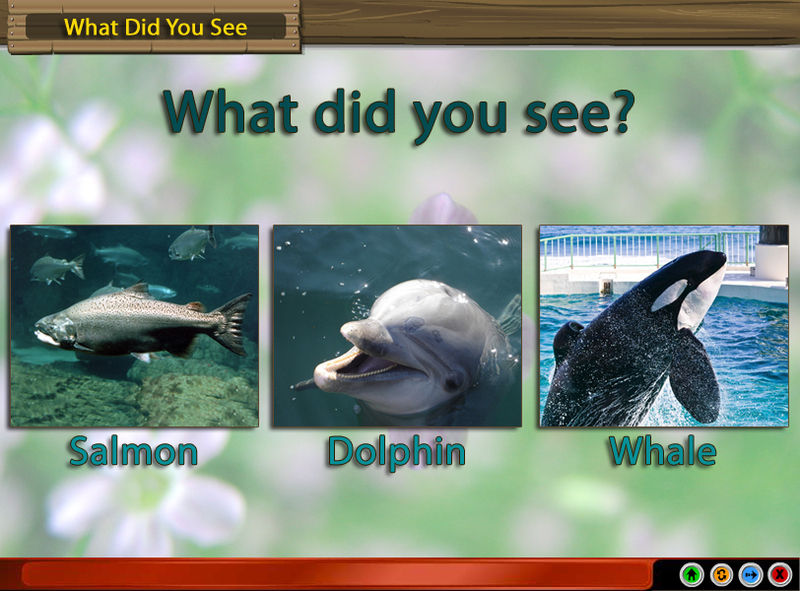 Child answers questions about things they like or don’t like. 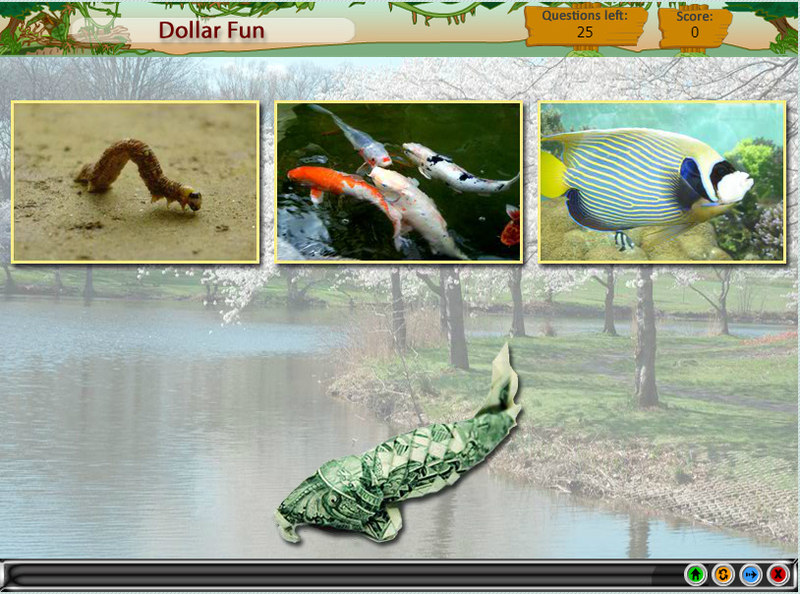 Child chooses a picture that matches a dollar bill origami. 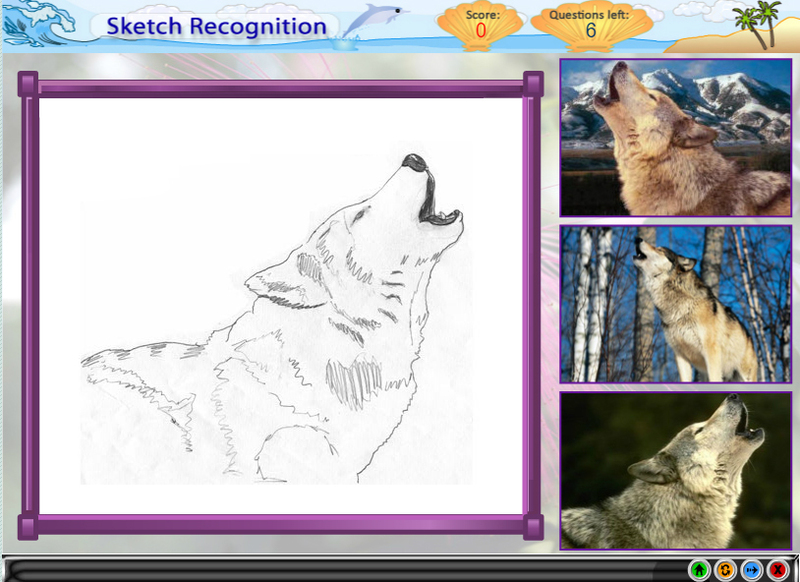 Child must match sketches and drawings to real life photos. 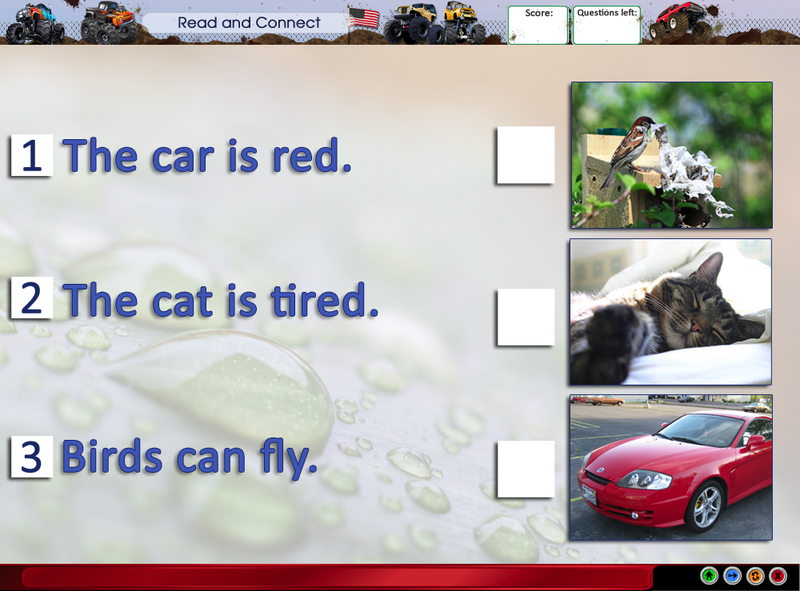 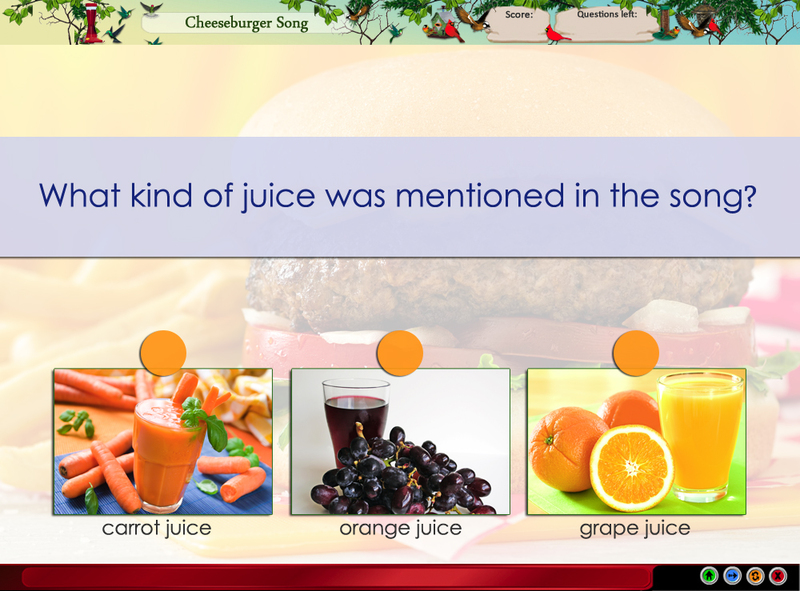 Tests ability to choose correctly punctuated and capitalized sentence. 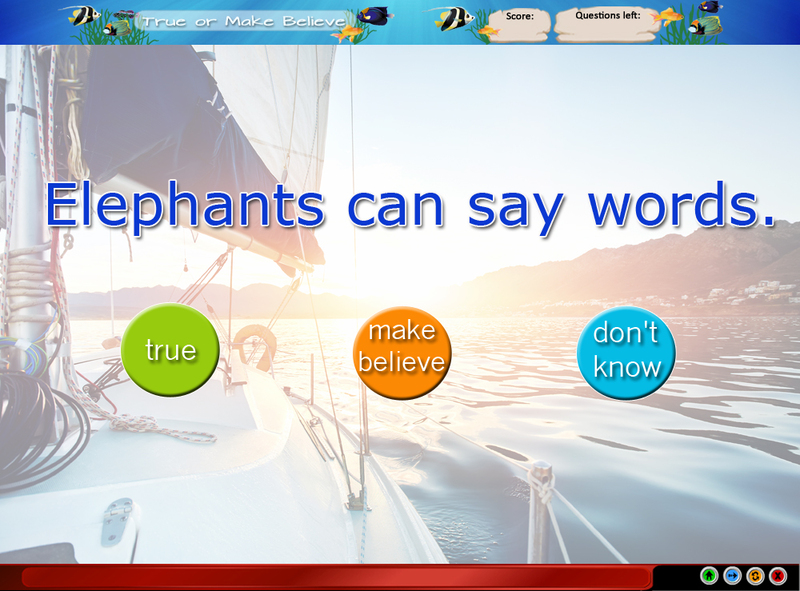 Child answers questions about their opinions. 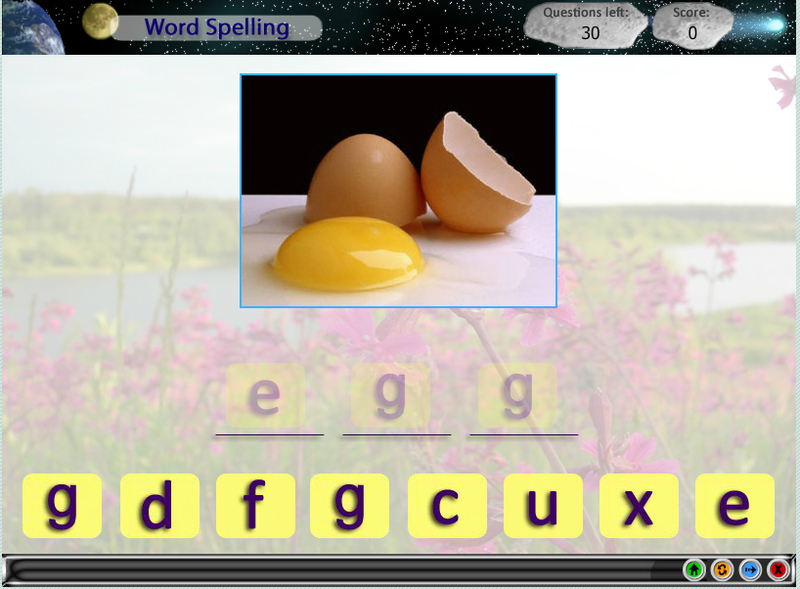 Tests ability to identify correctly spelled word. 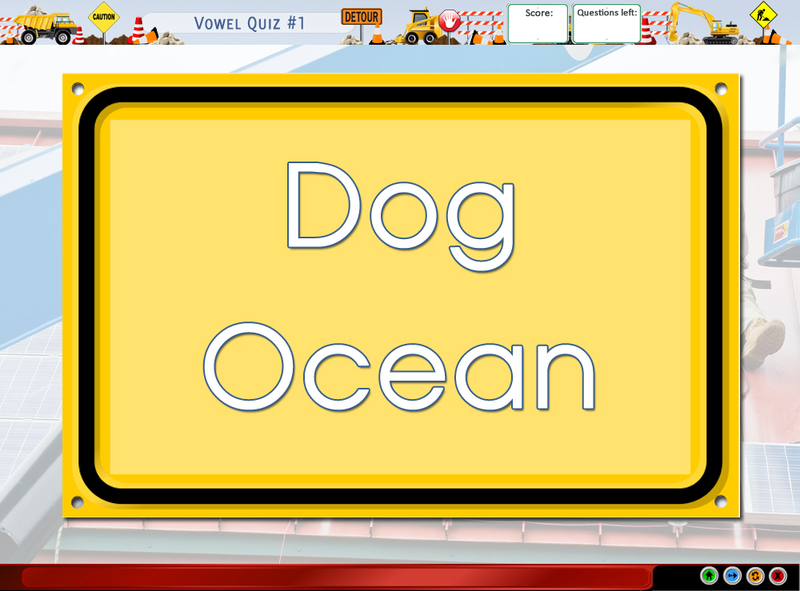 Timed quiz to see how many sight words they can identify. 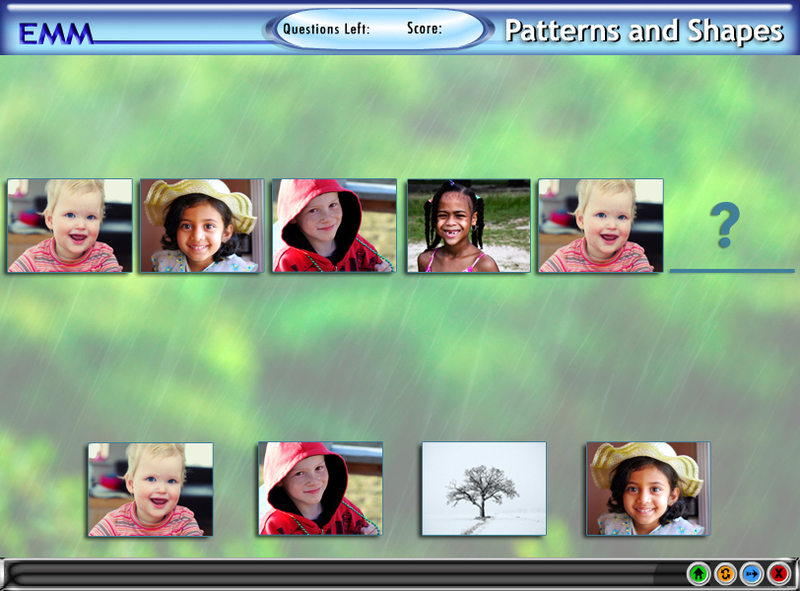 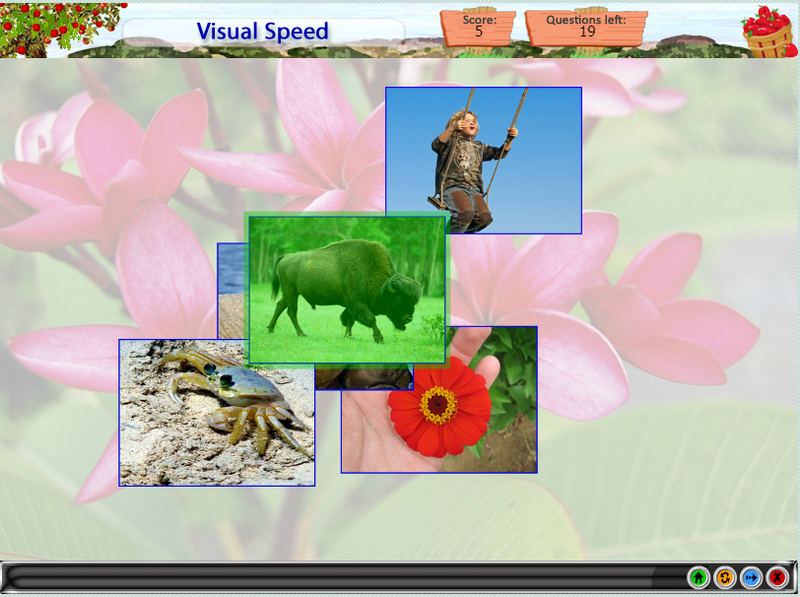 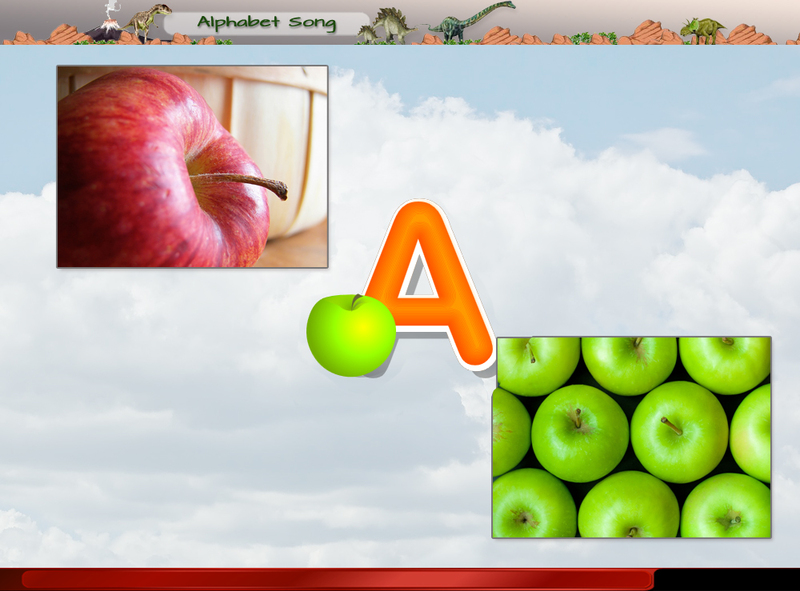 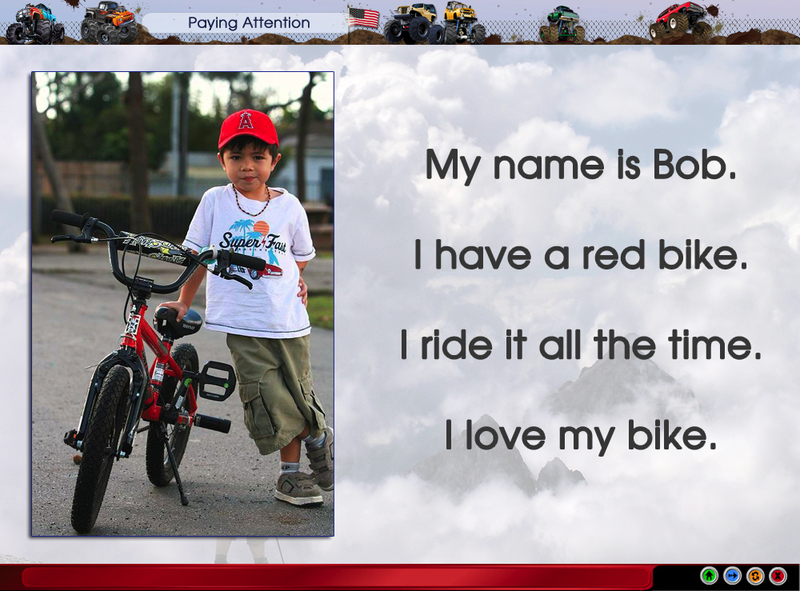 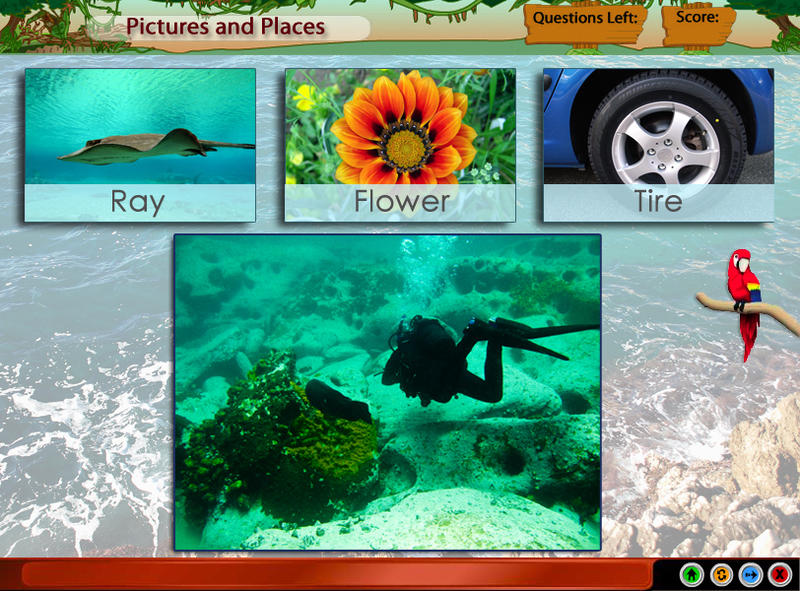 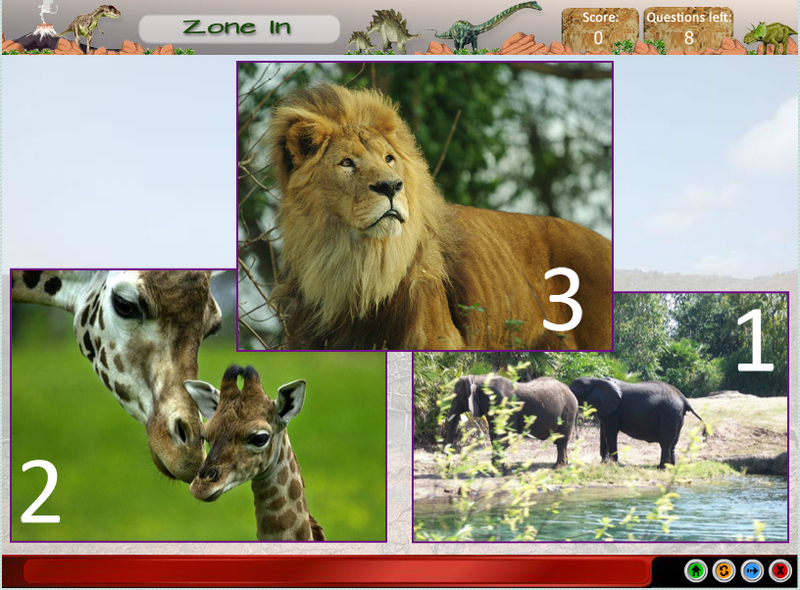 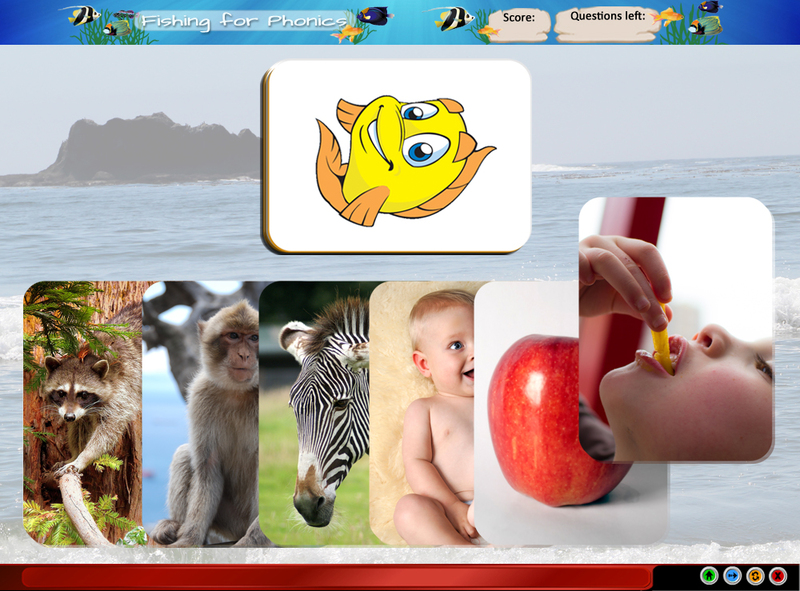 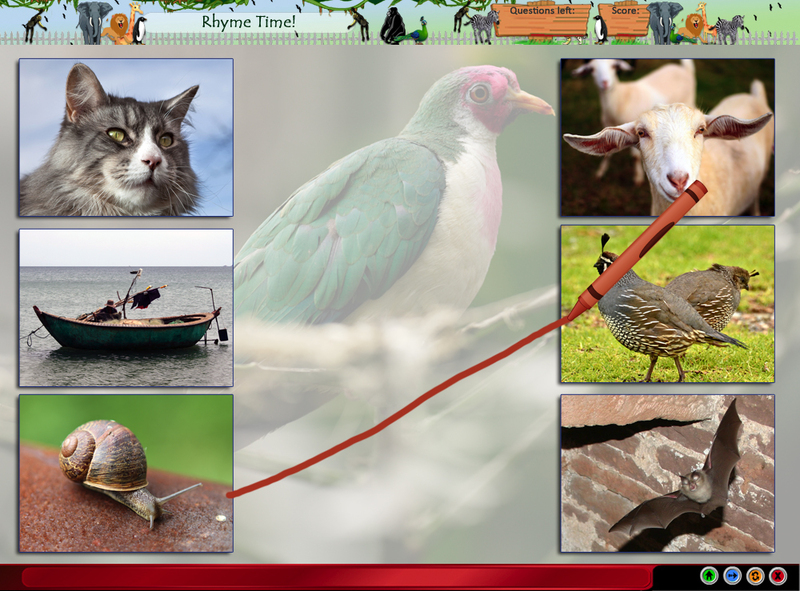 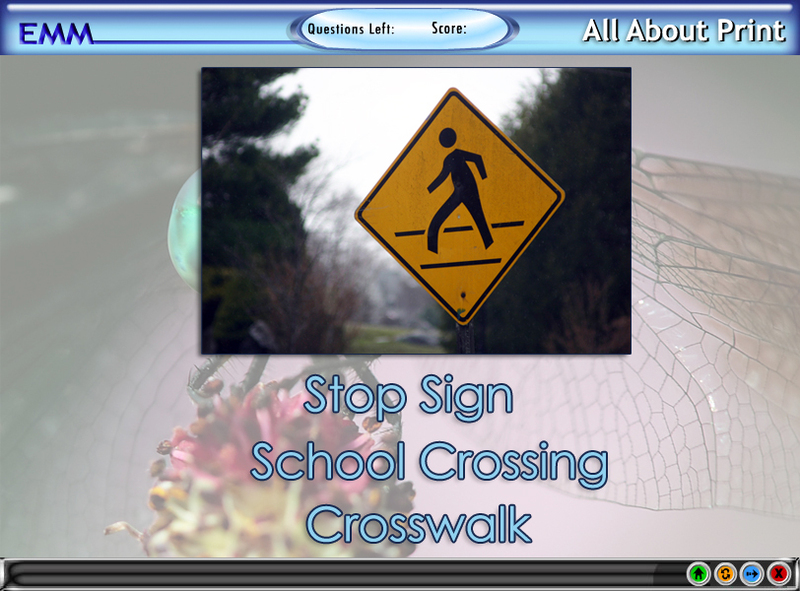 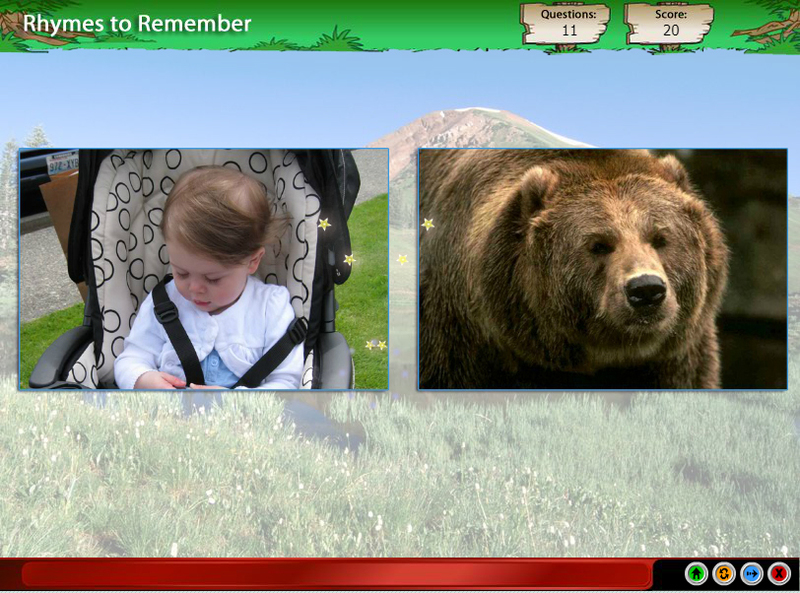 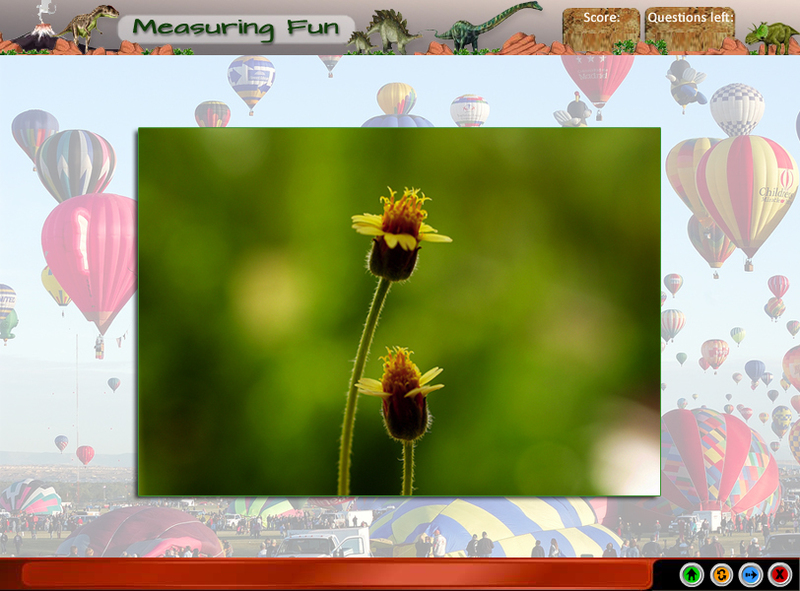 Child is shown pictures & told a story, child then selects pictures of things seen (not said). 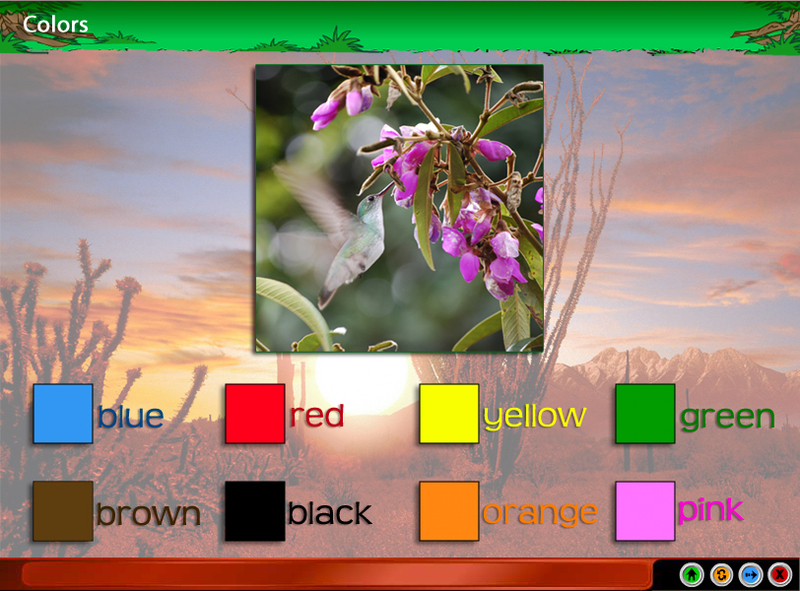 Child identifies the color in the picture. 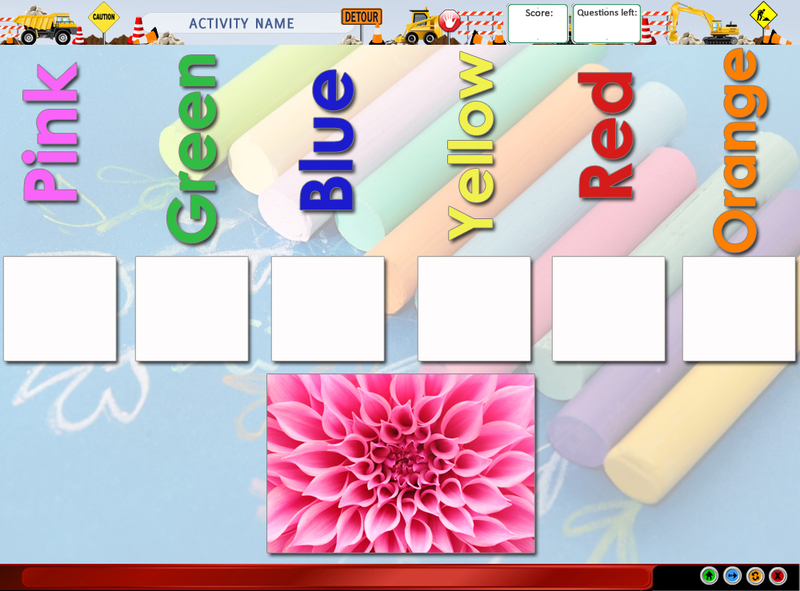 Tests for knowledge of Colors. 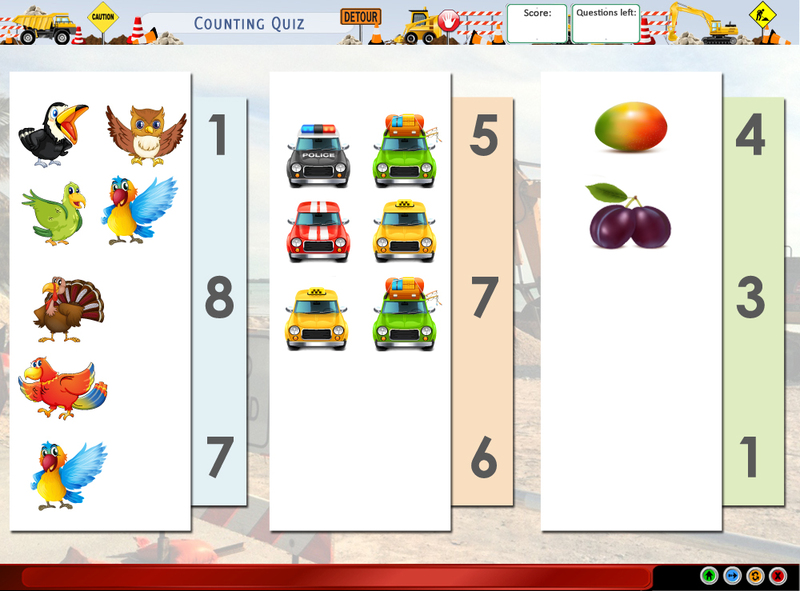 Tests for knowledge of Counting to 10. 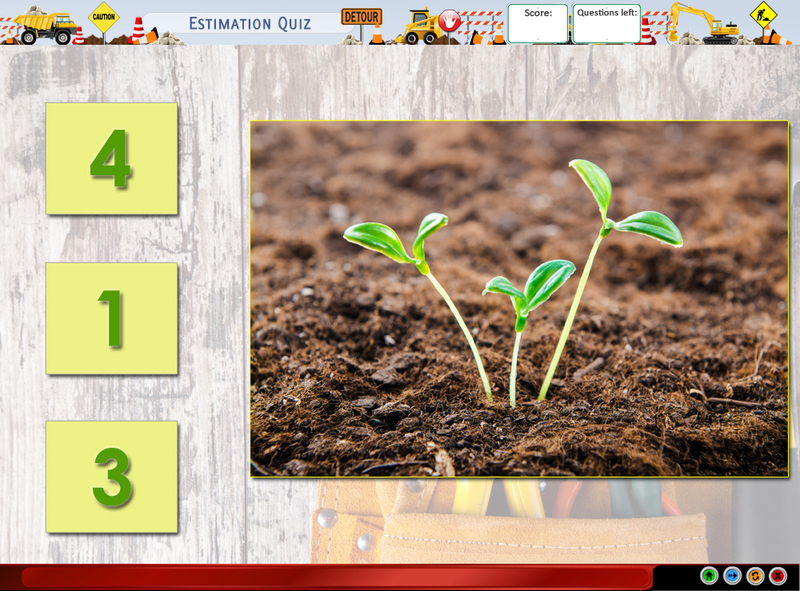 Tests for knowledge of Estimating. 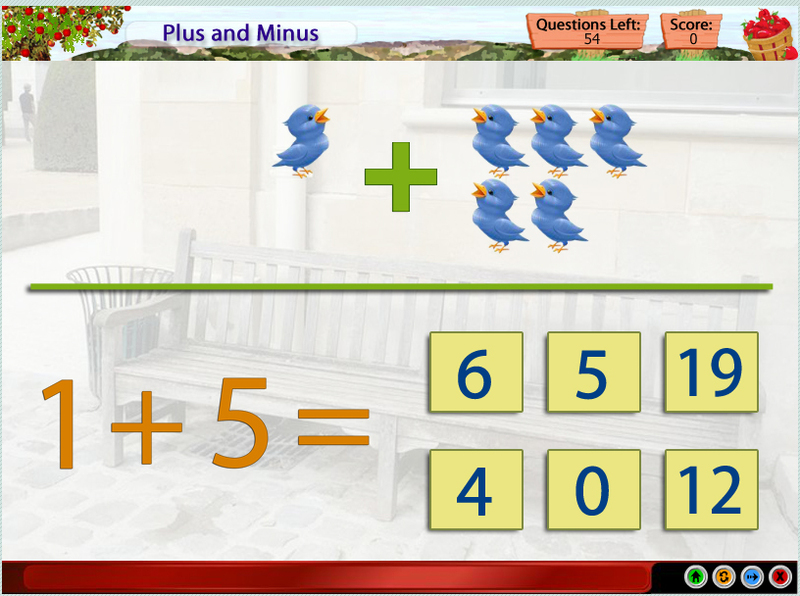 Tests for knowledge of beginning addition. 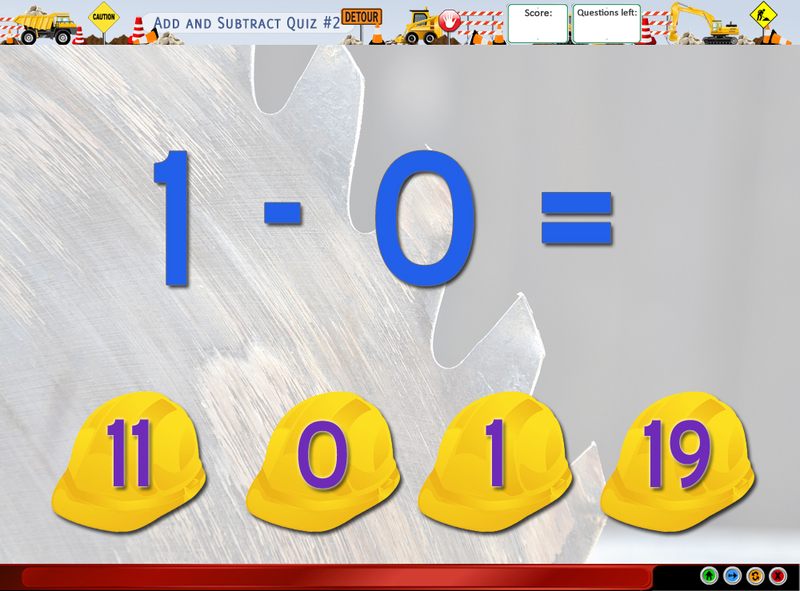 Tests ability to put numbers in order 1-10. 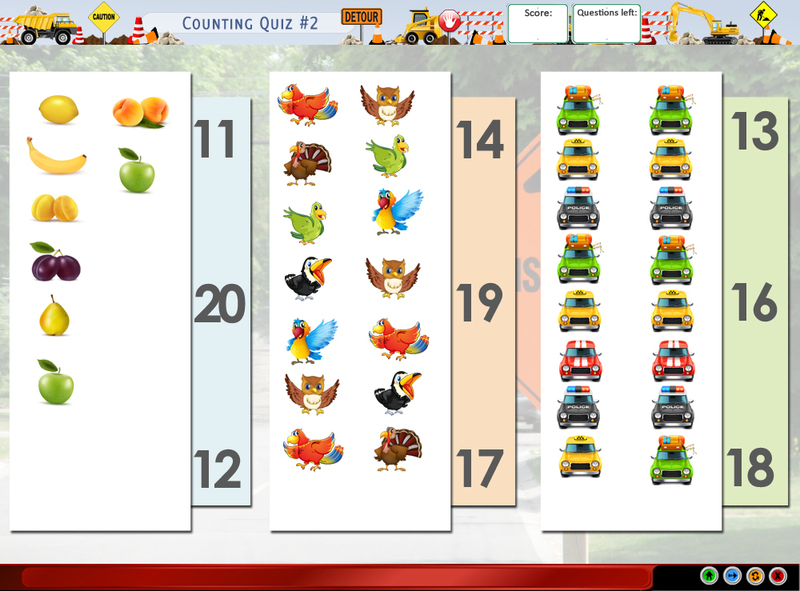 Tests for knowledge of Counting to 20. 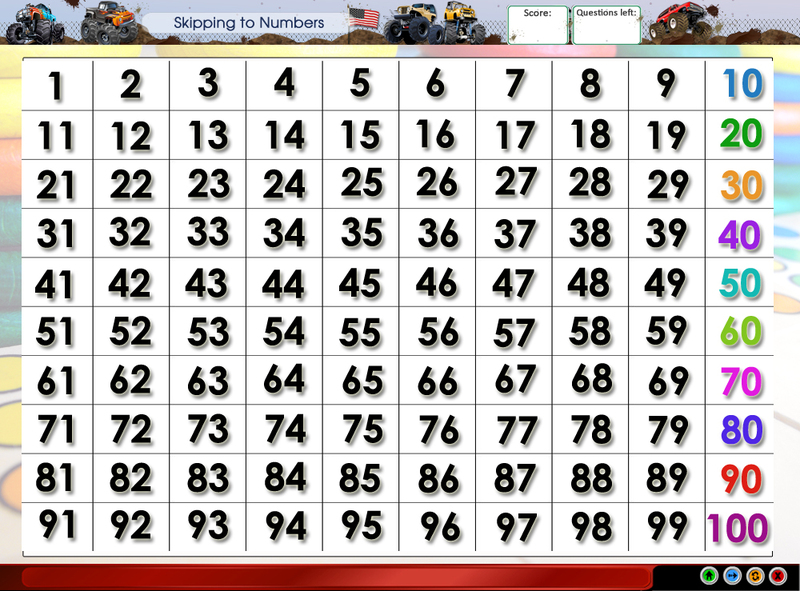 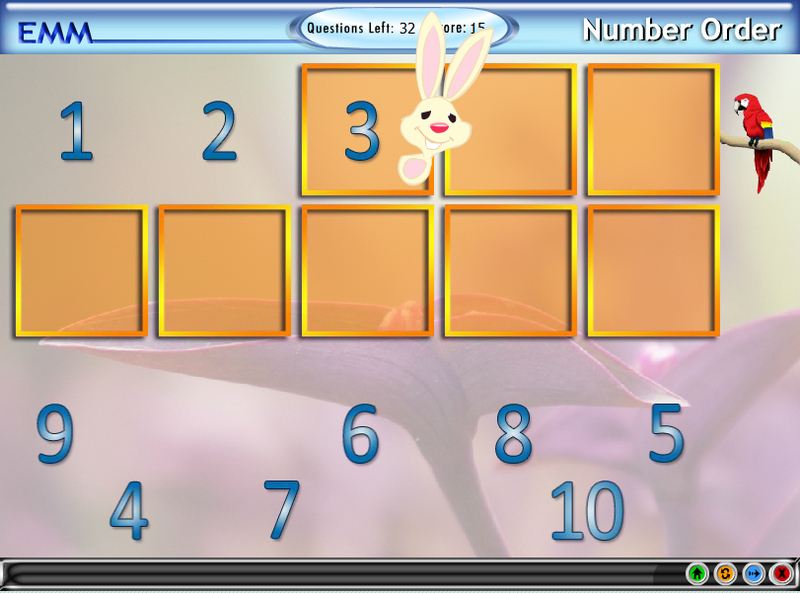 Tests the ability to identify numbers before and after numbers. 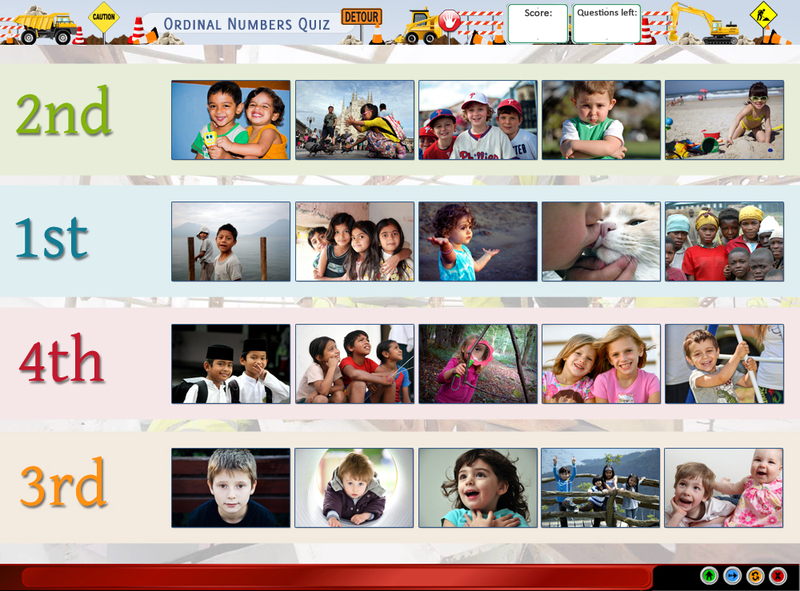 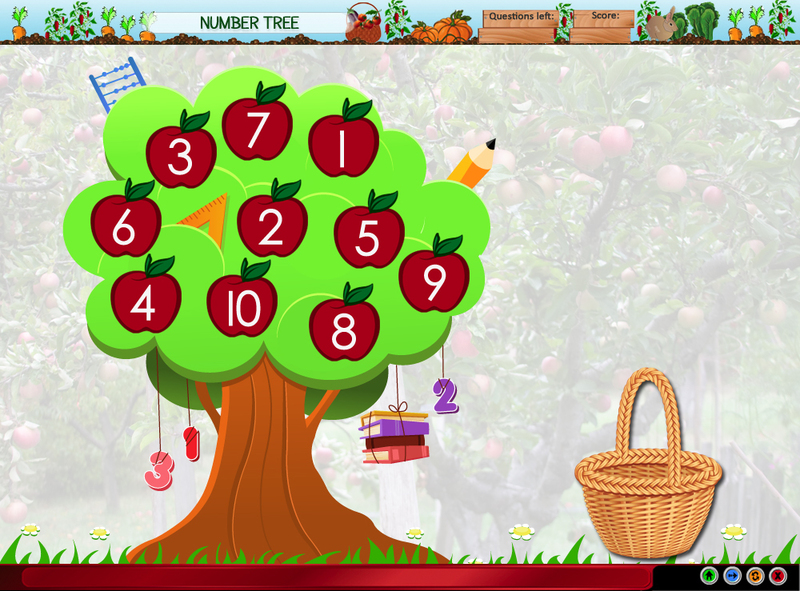 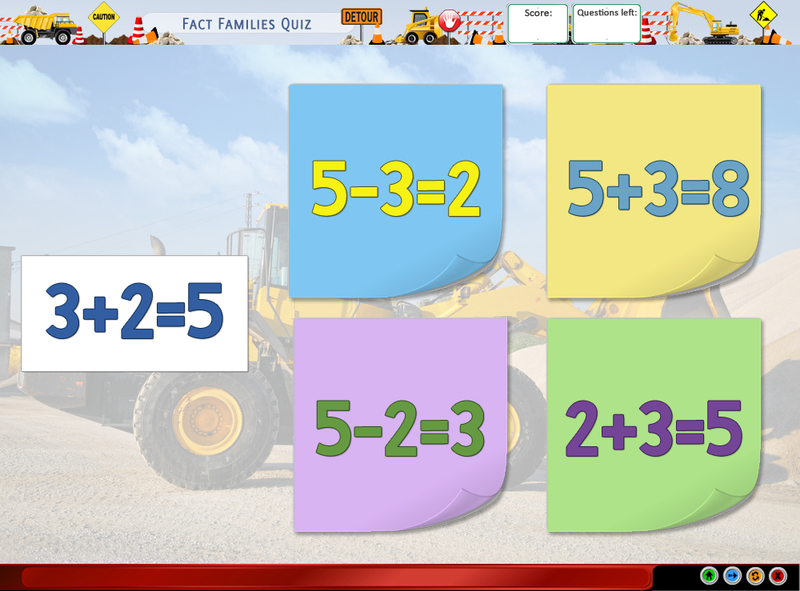 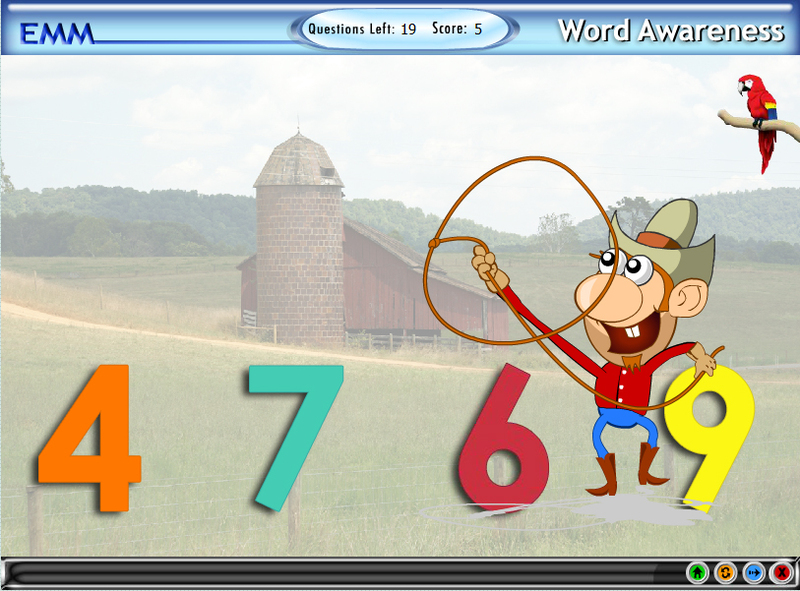 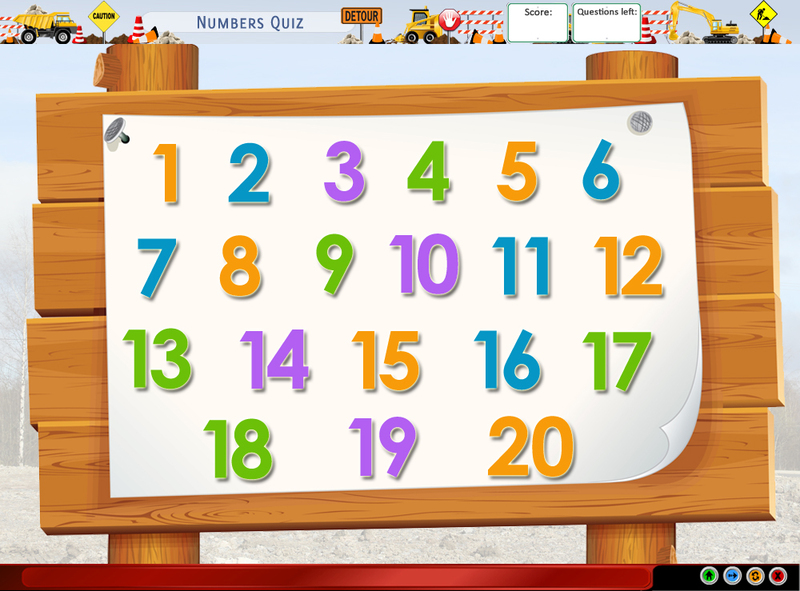 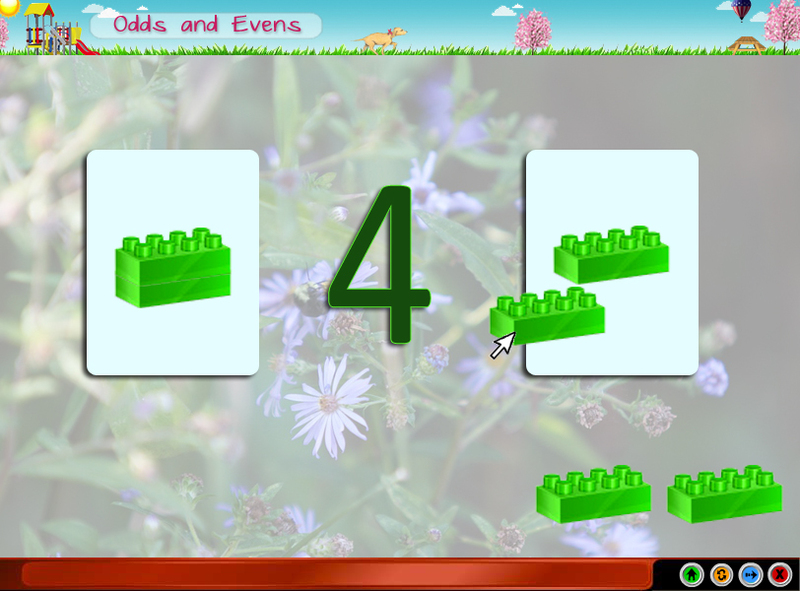 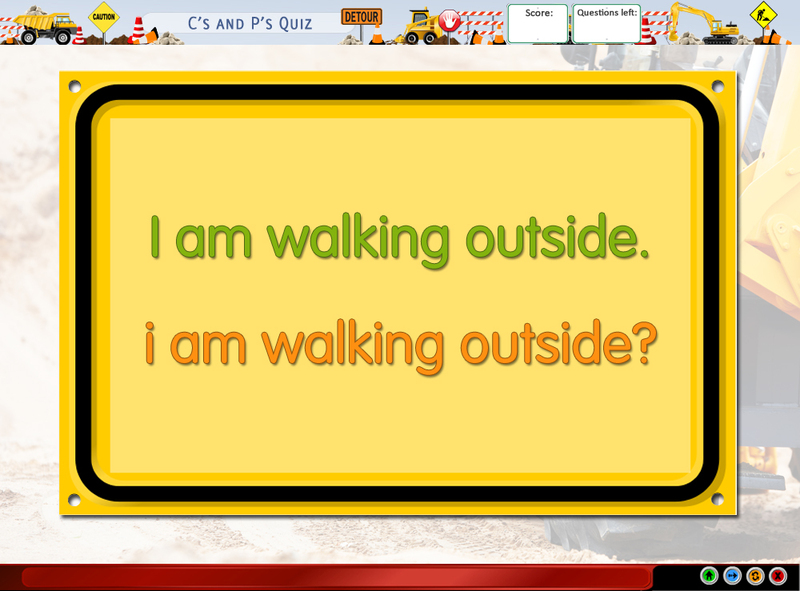 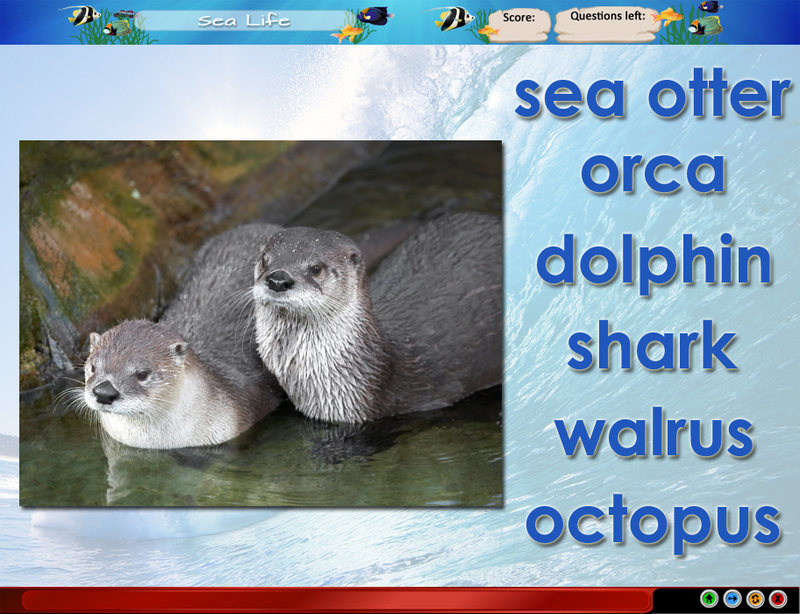 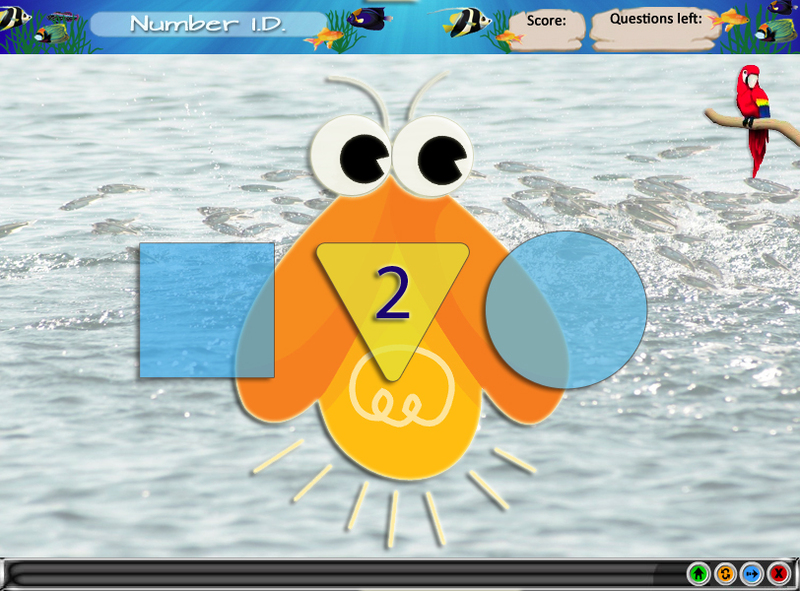 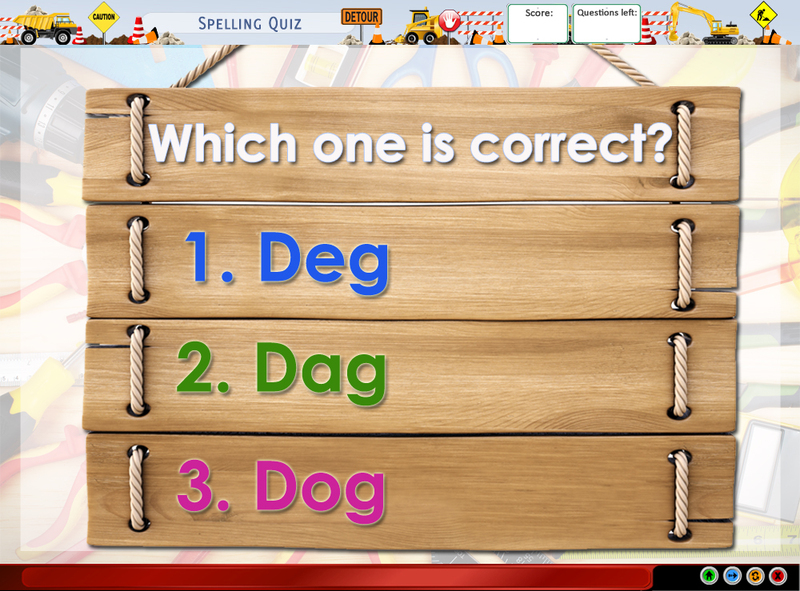 Quizzes on the ability to identify the correct ordinal number and the position of an object. 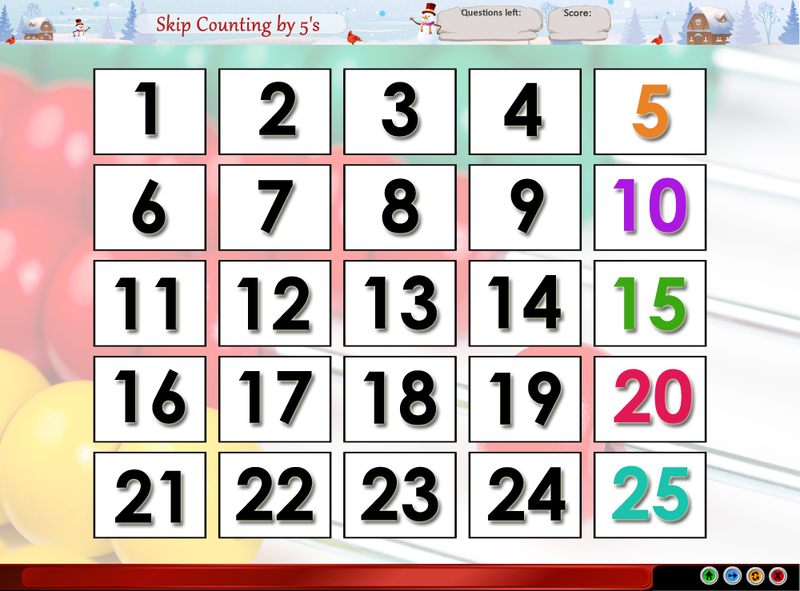 Tests ability to put numbers in order 1-20. 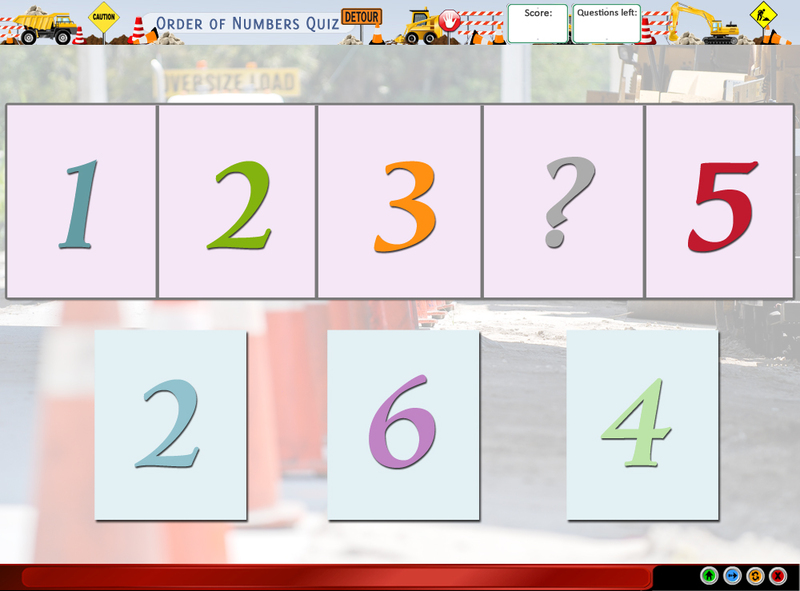 Quizzes on the ability to count by 5s and 10s. 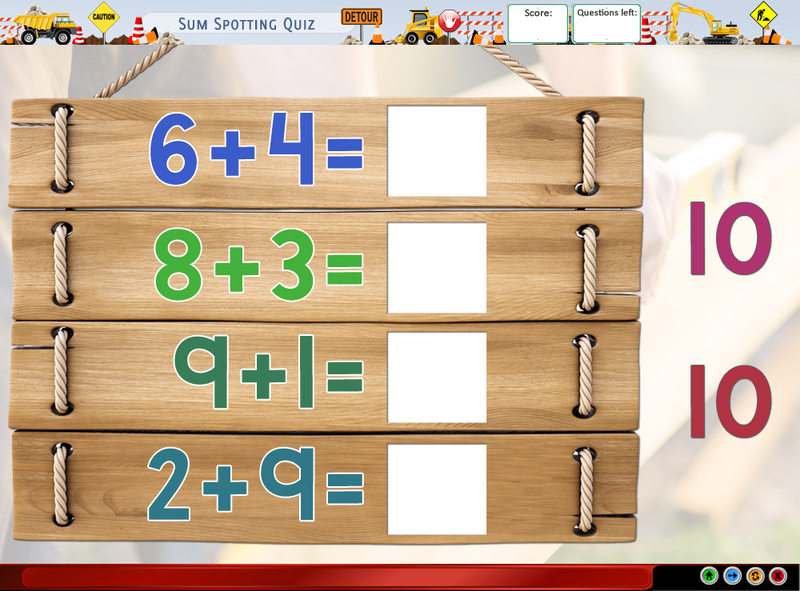 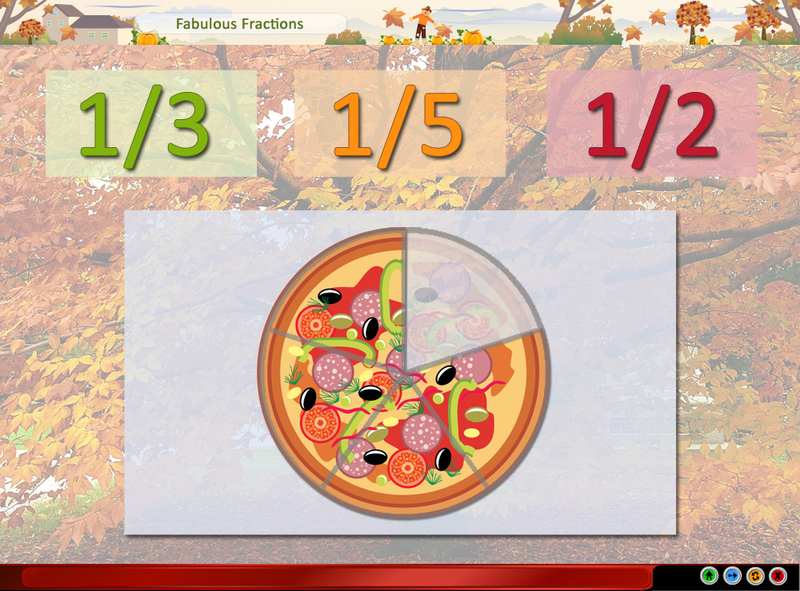 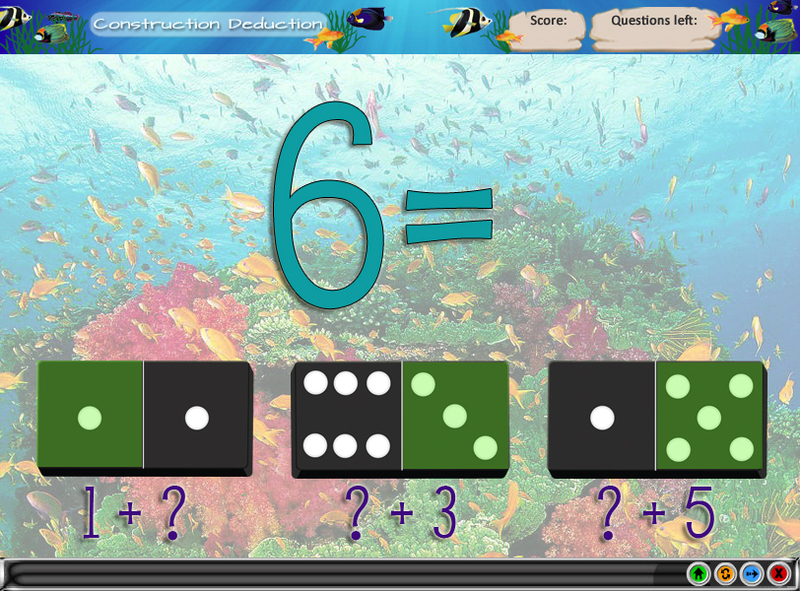 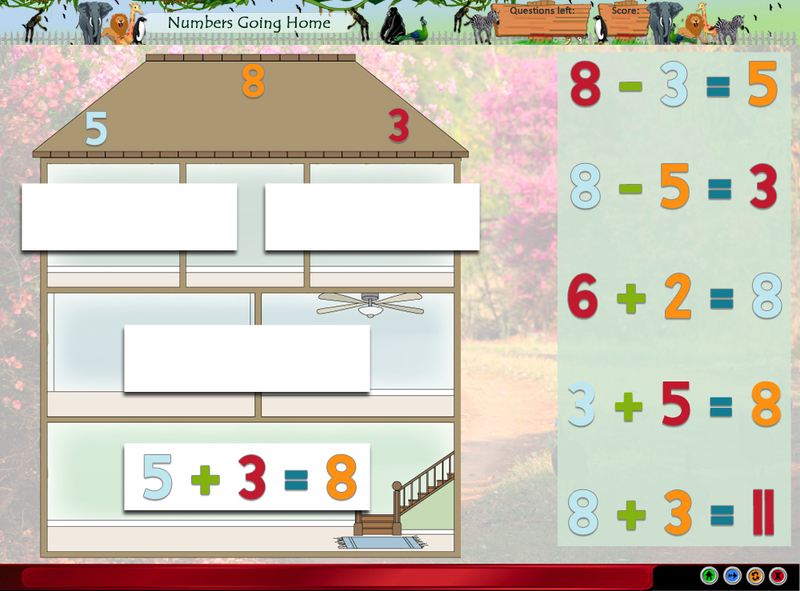 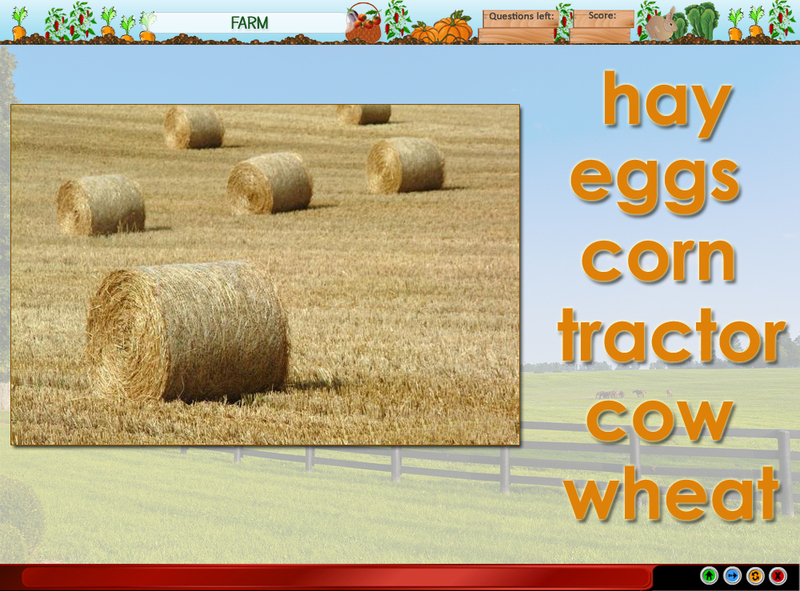 Test for knowledge on making addition and subtraction facts. 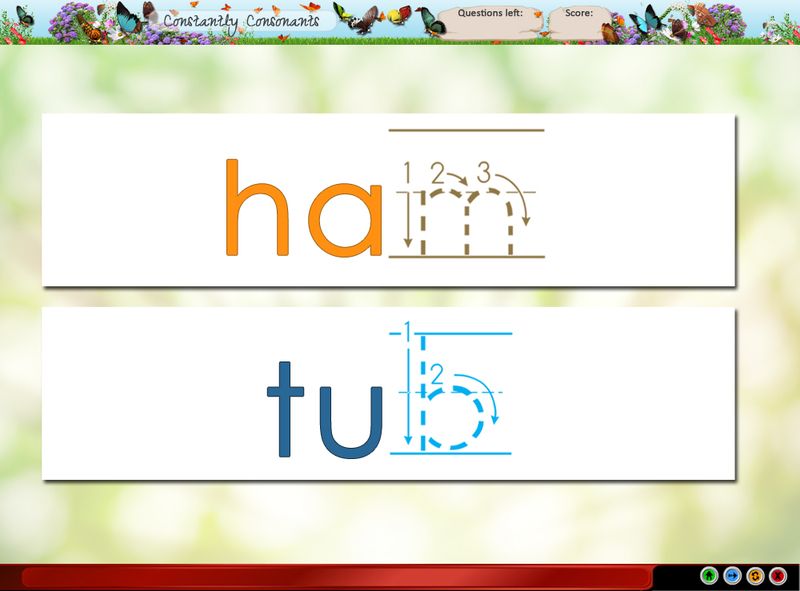 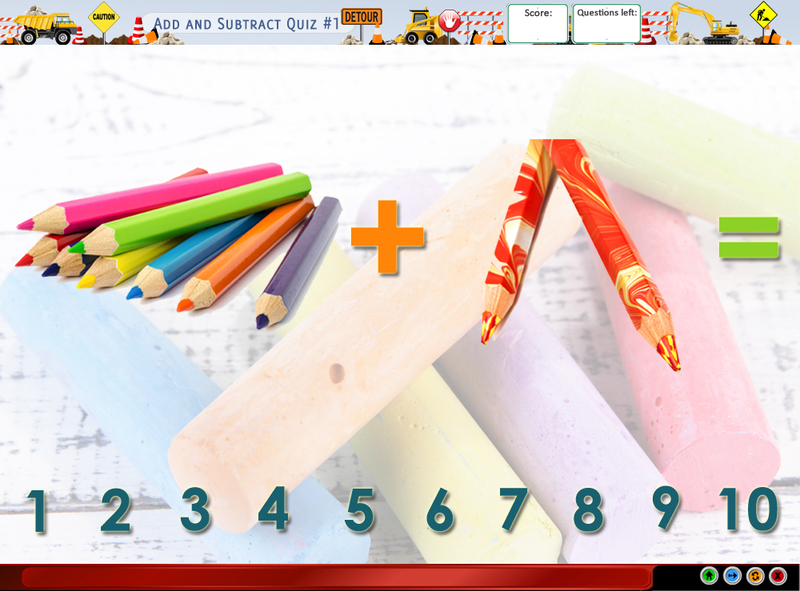 Tests ability to Add and Subtract. 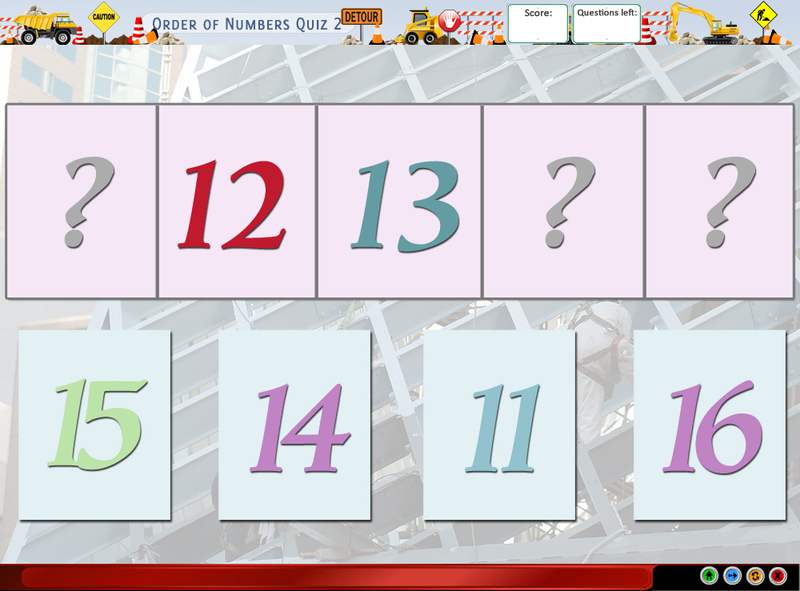 Tests for ability to find numbers that make 10 and the sum of doubles facts. 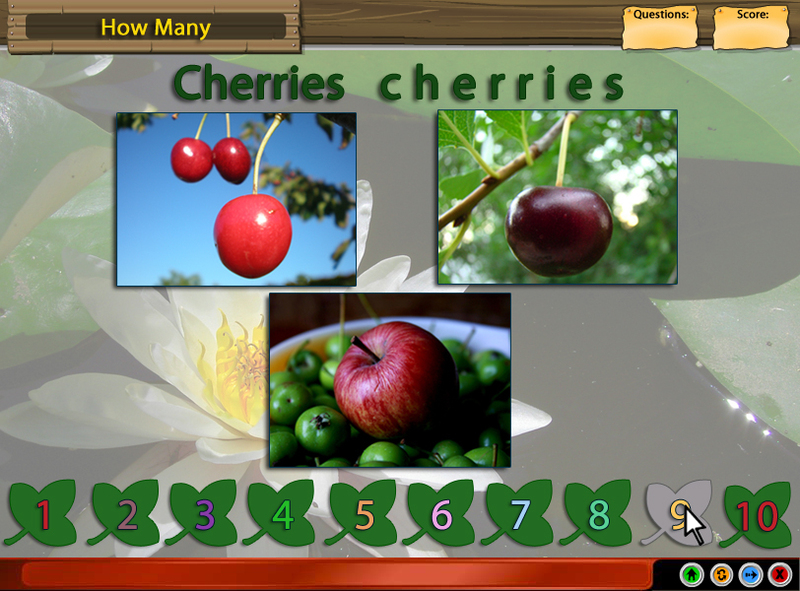 Tests for knowledge of finding facts in the same family. 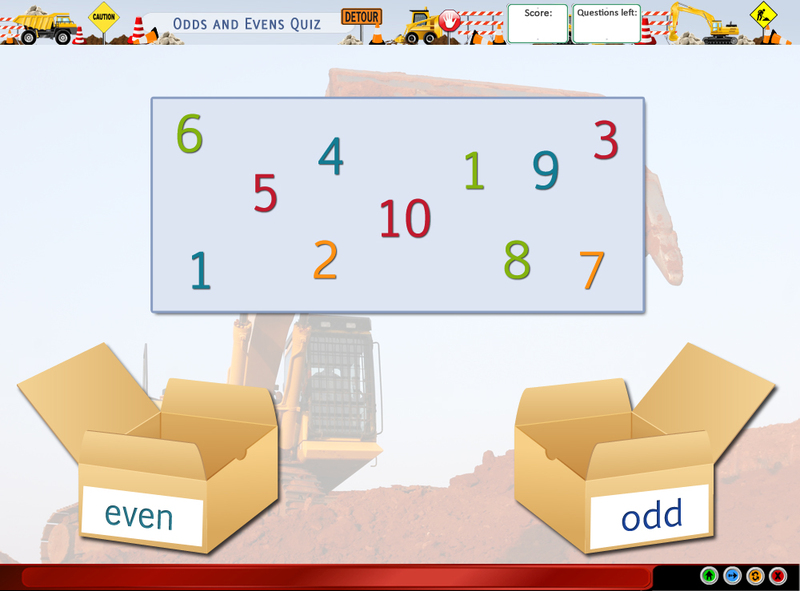 Tests for knowledge of odds and evens. 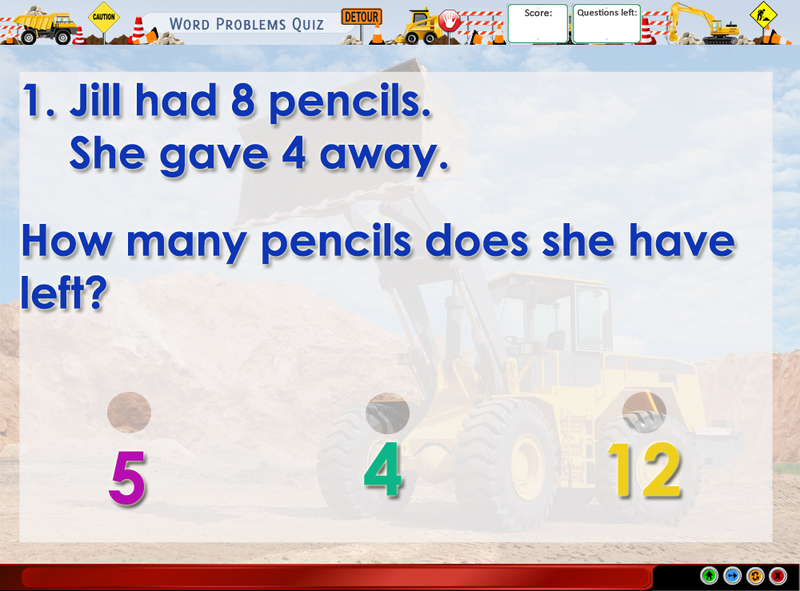 Tests for knowledge of solving word problems. 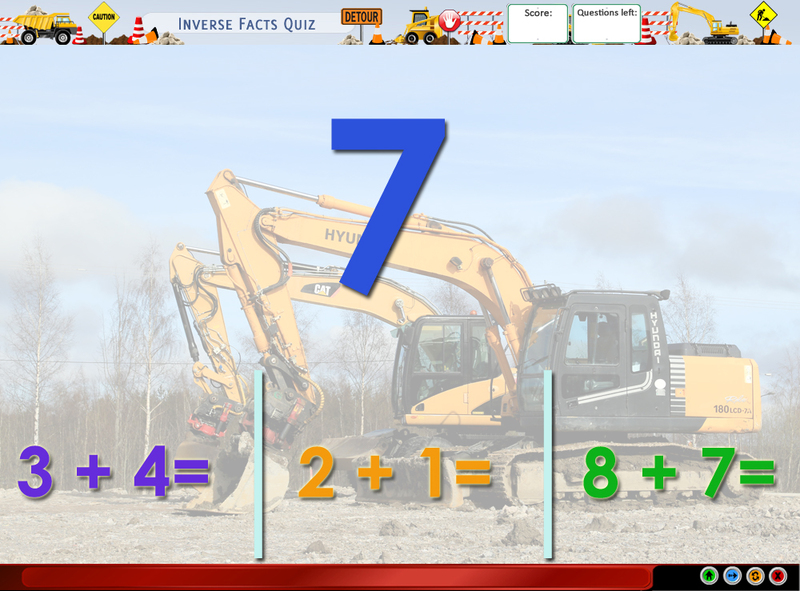 Quizzes on the ability to answer inverse facts. 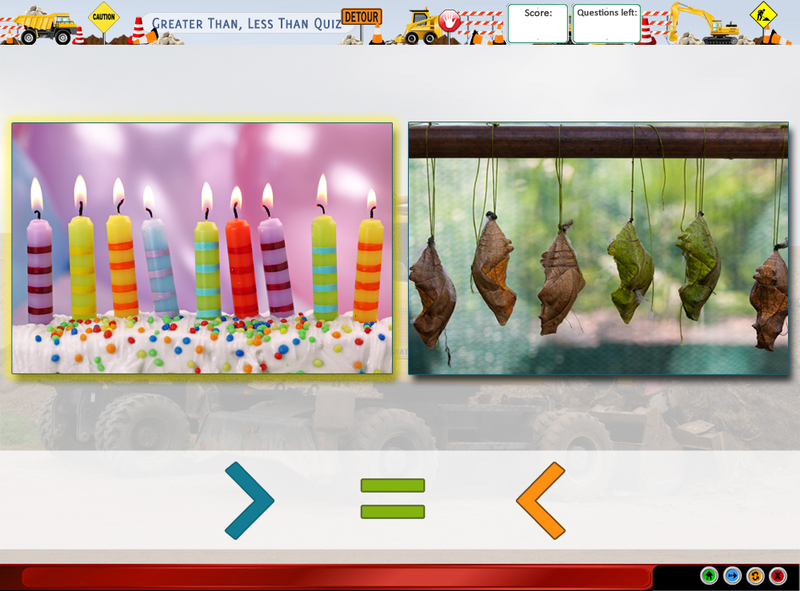 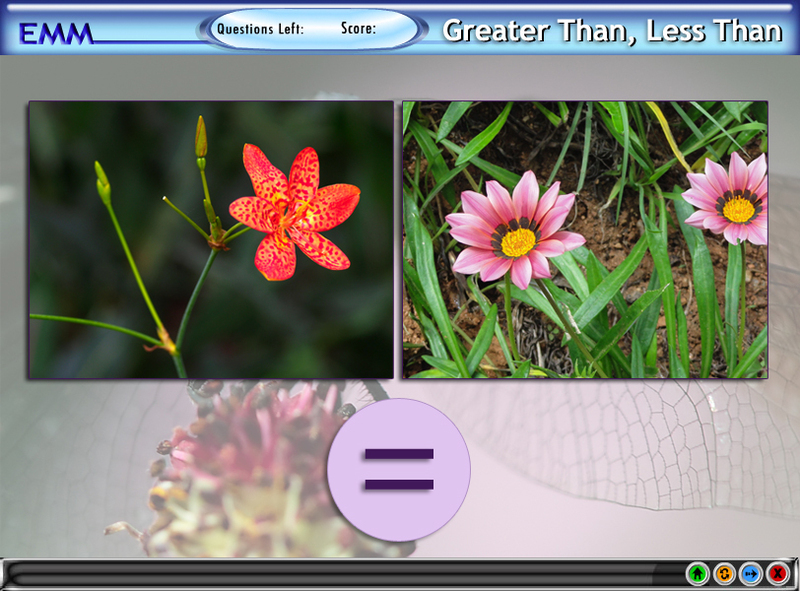 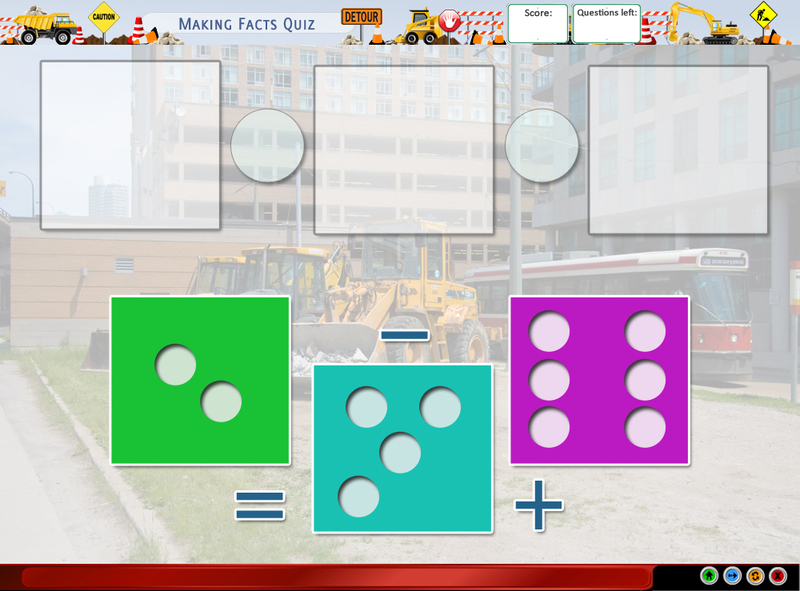 Test the ability to recognize groups of objects that are greater than, less than, and equal to. 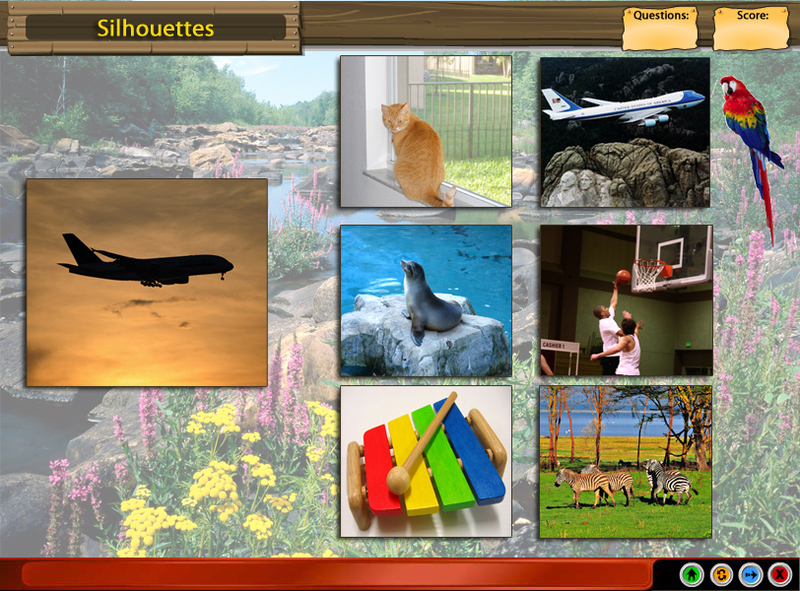 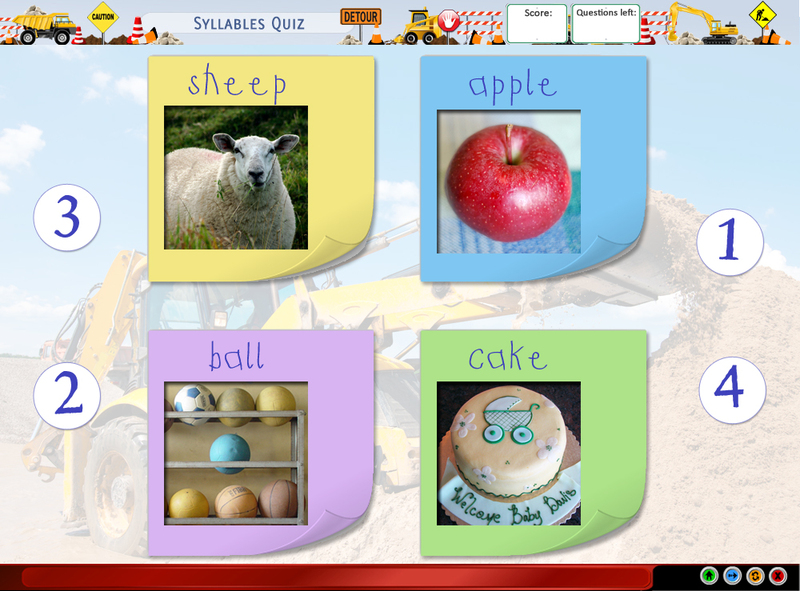 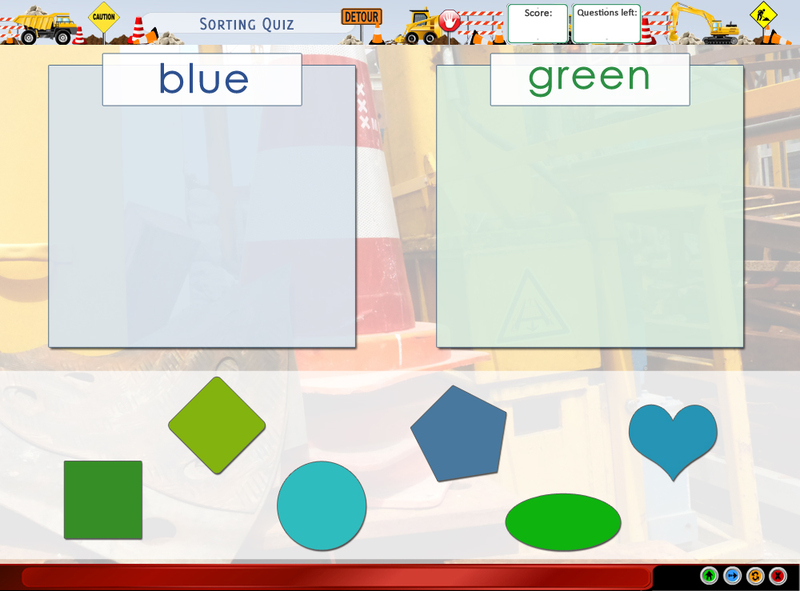 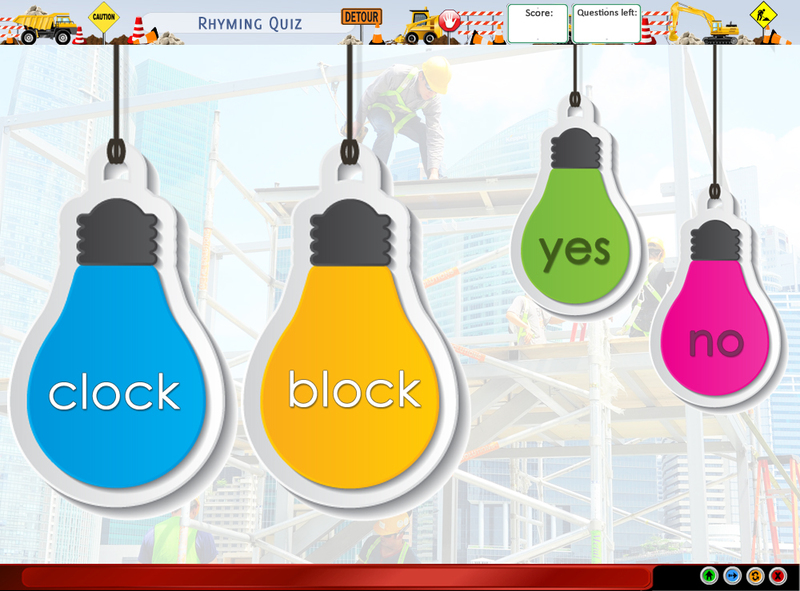 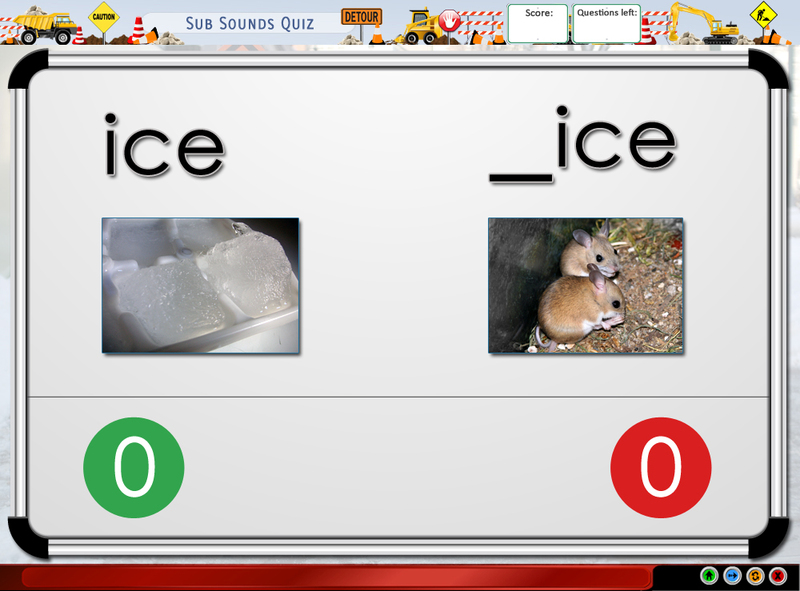 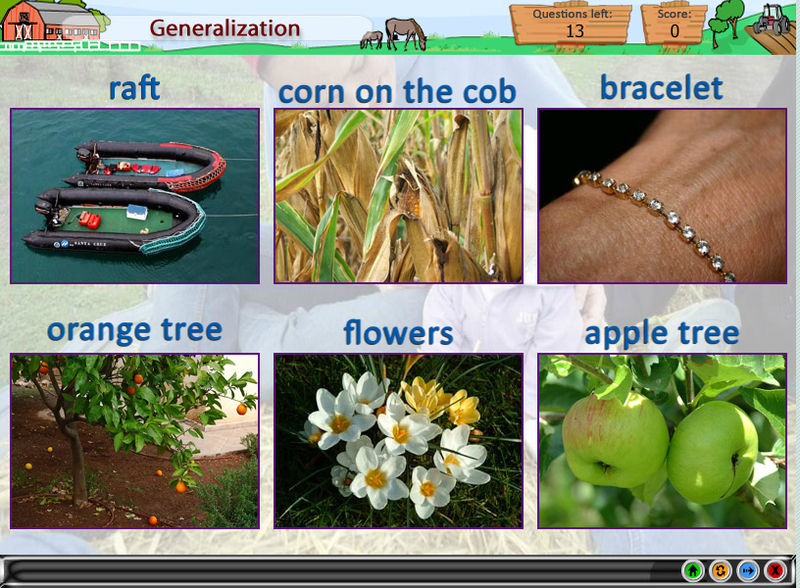 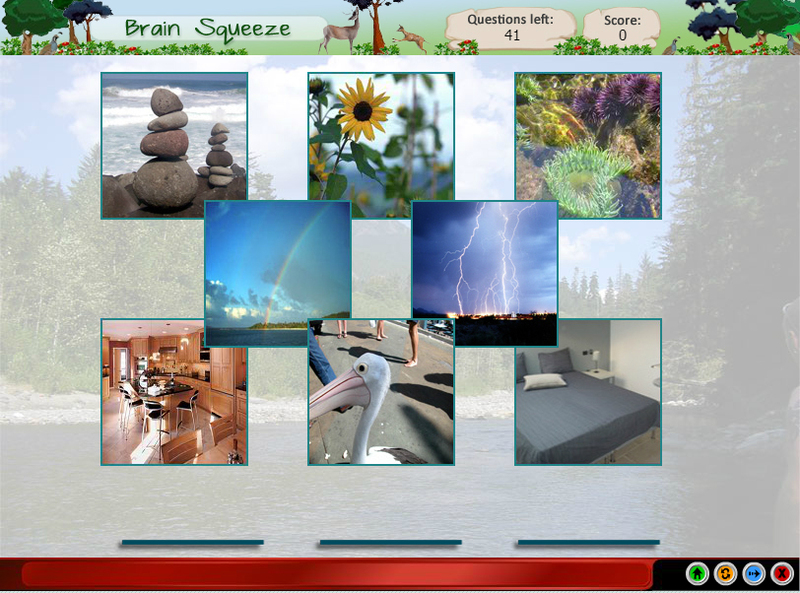 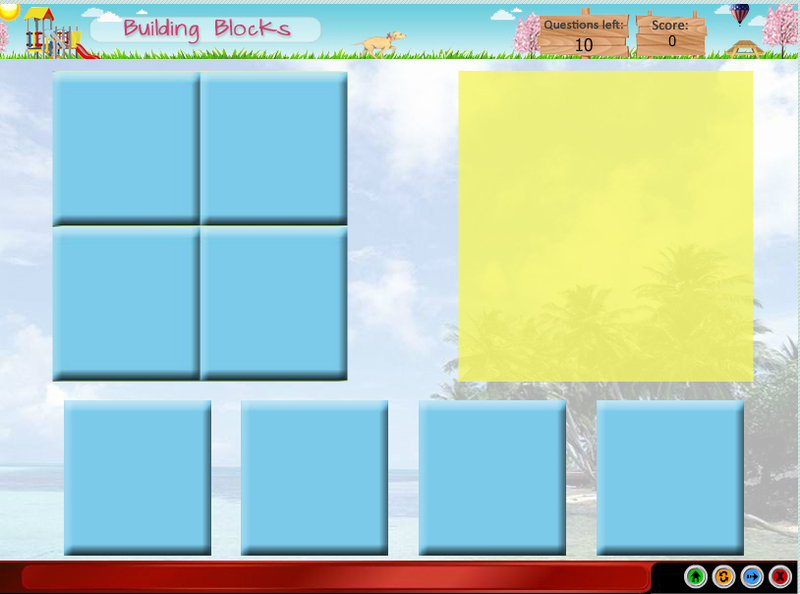 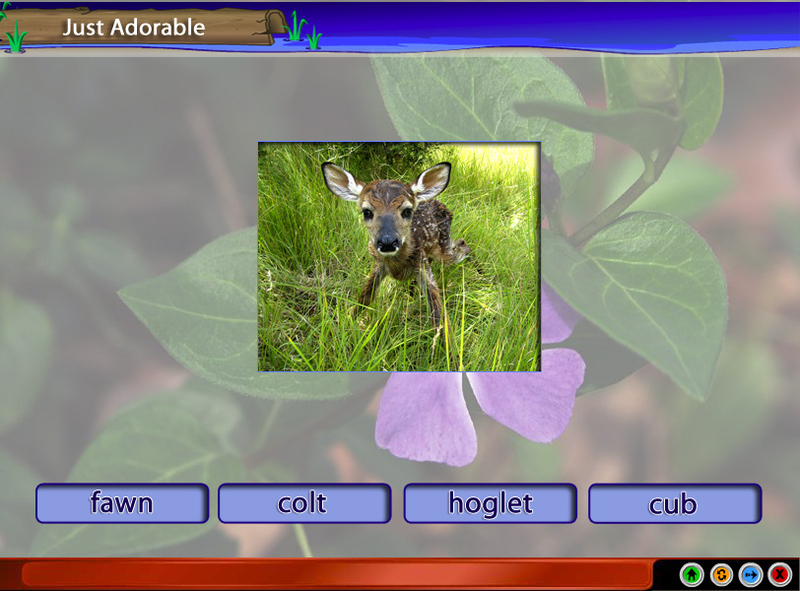 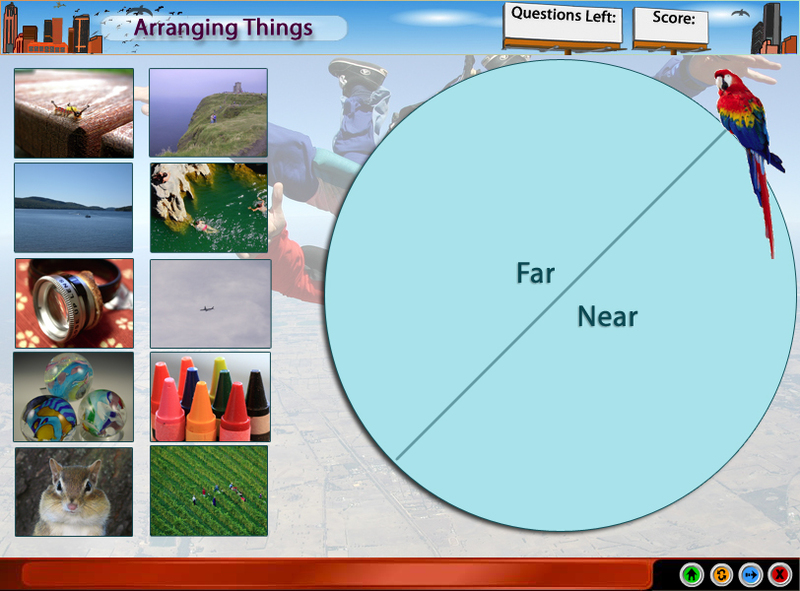 Quizzes on the ability to sort objects. 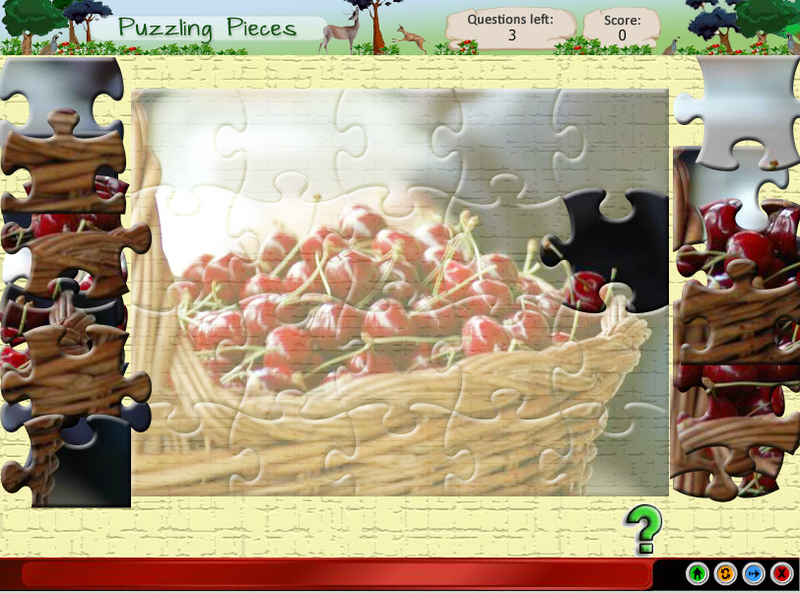 Completing Puzzles of real world objects. 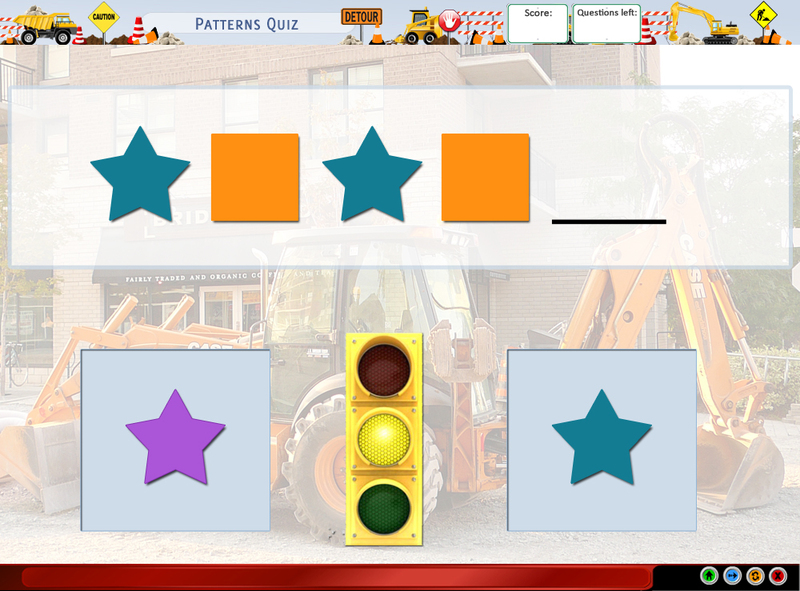 Quizzes on the ability to extend simple patters. 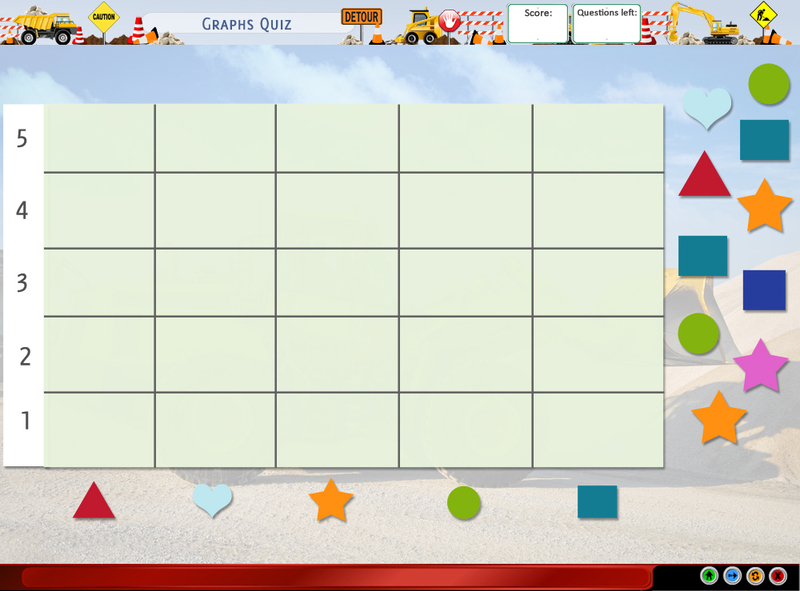 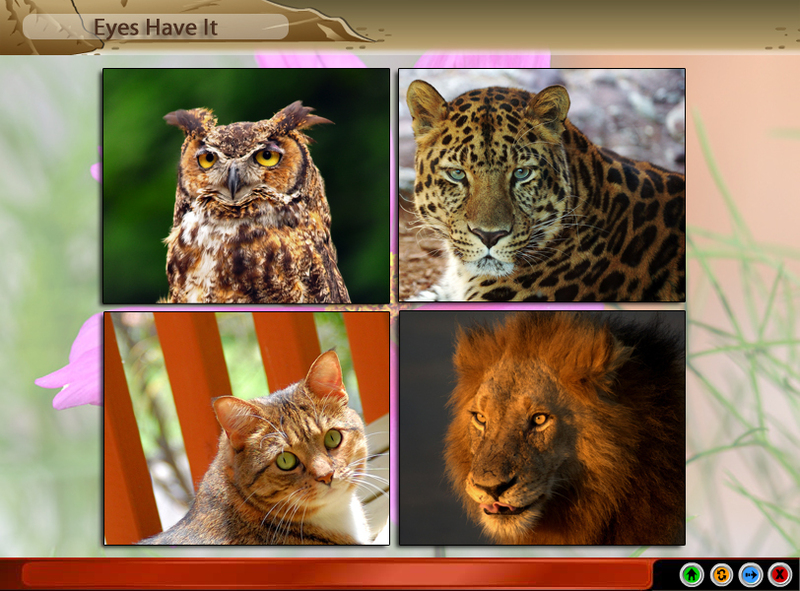 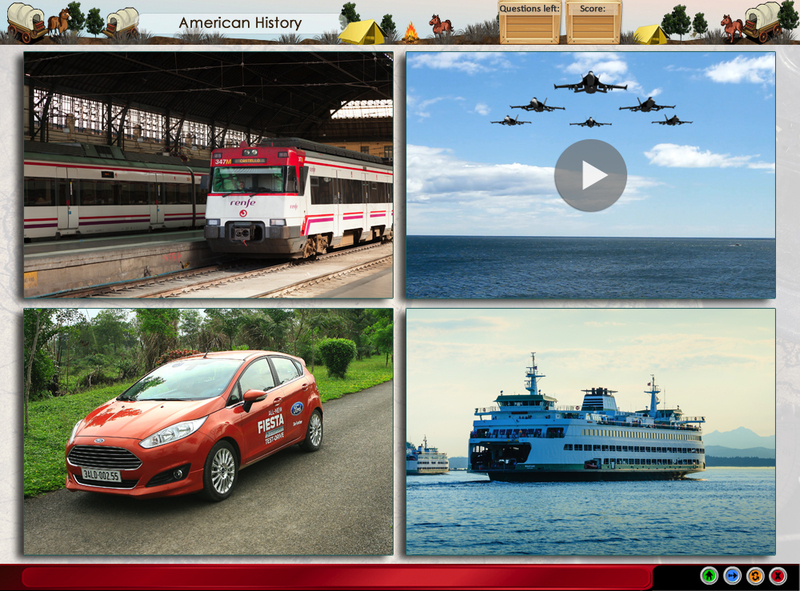 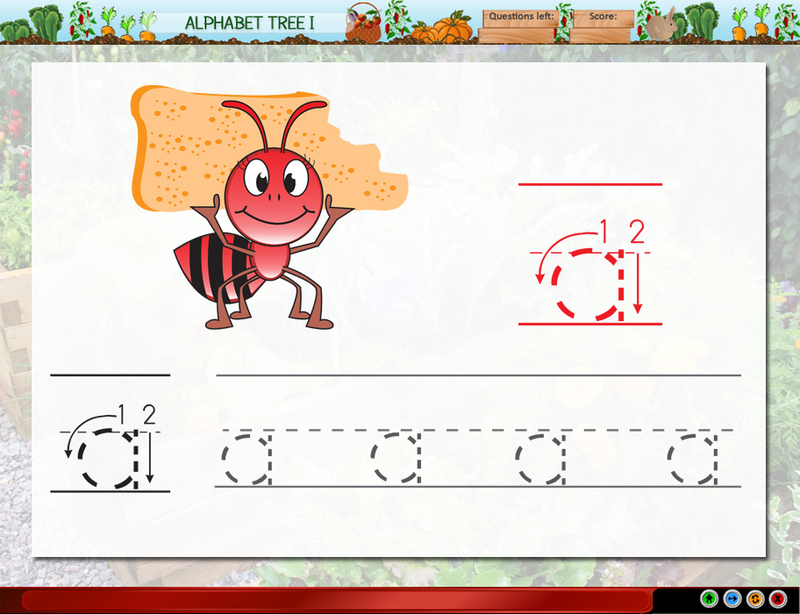 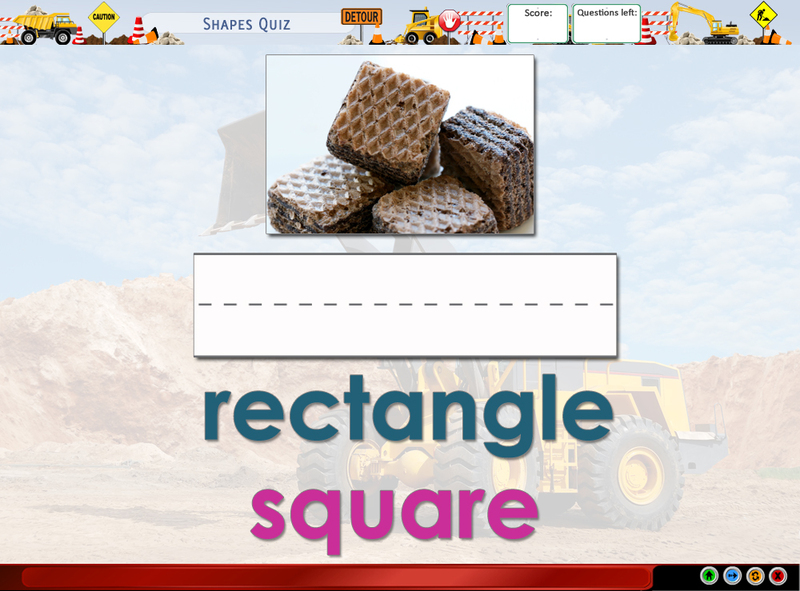 Quizzes on the ability to identify shapes in images. 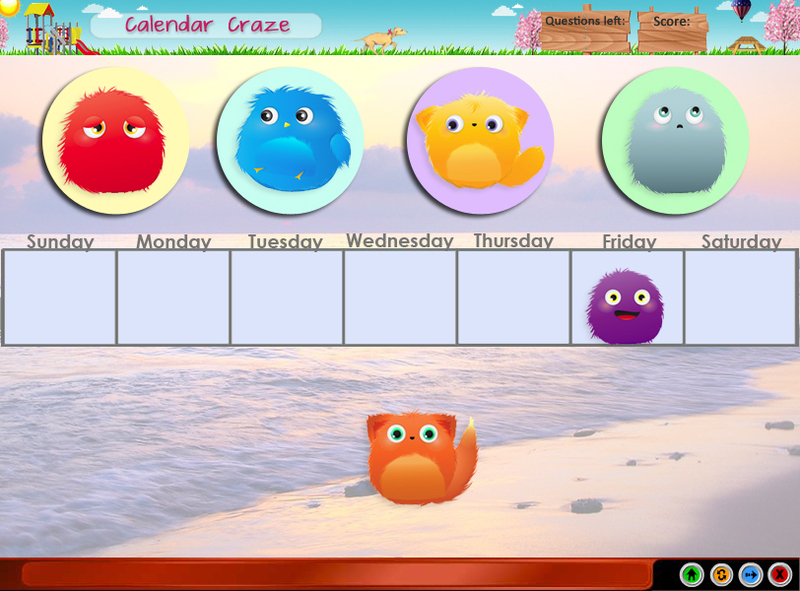 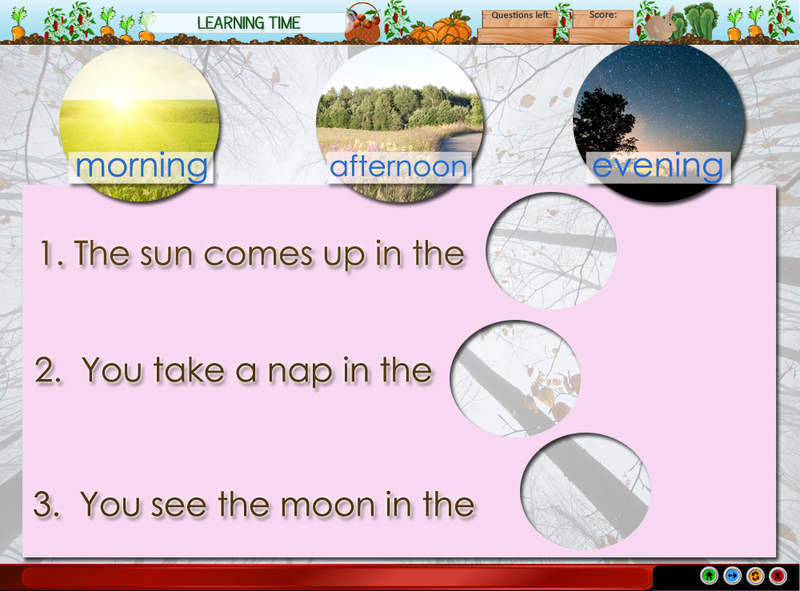 The student learns about calendars and must name the days of the week and the months of a year and answer questions about the 4 seasons. 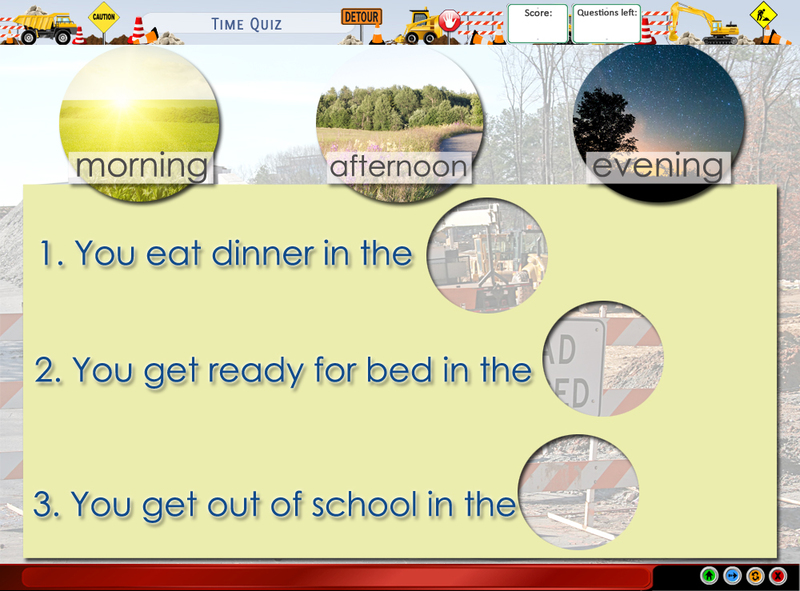 Tests for ability to identify what time of day common daily tasks happen. 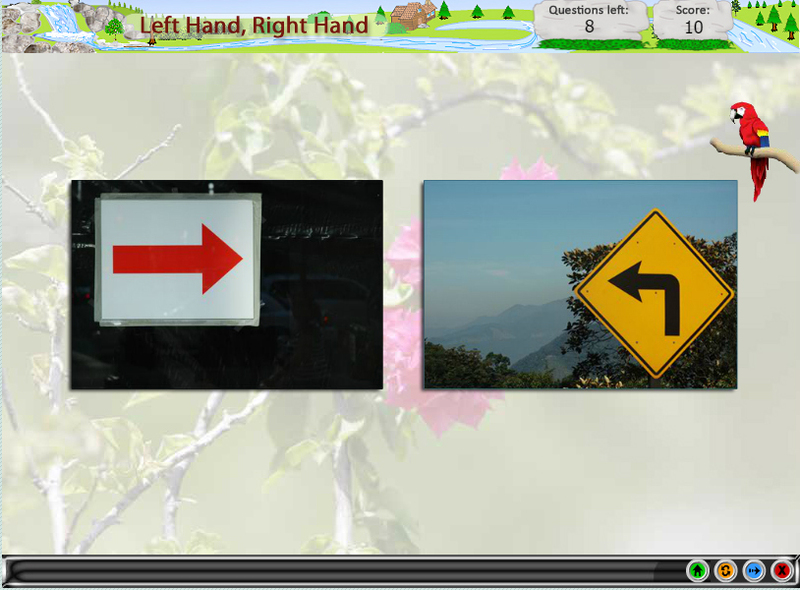 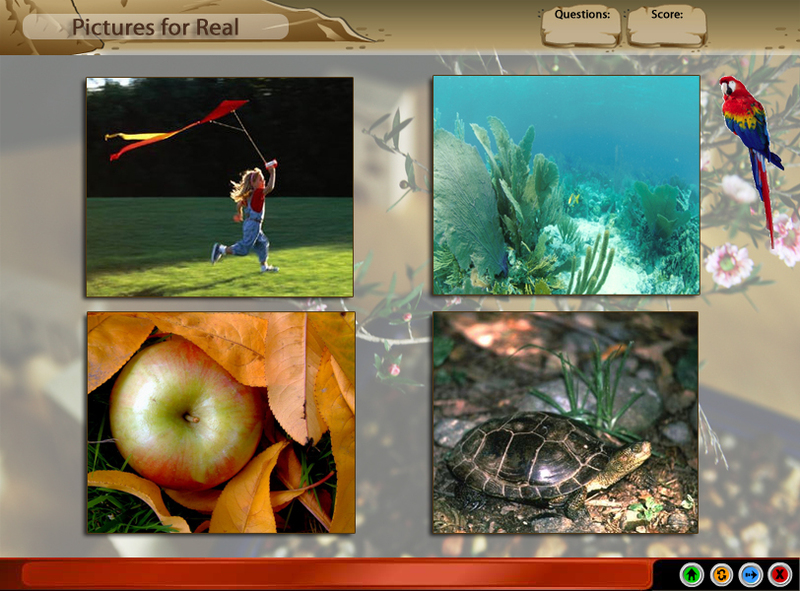 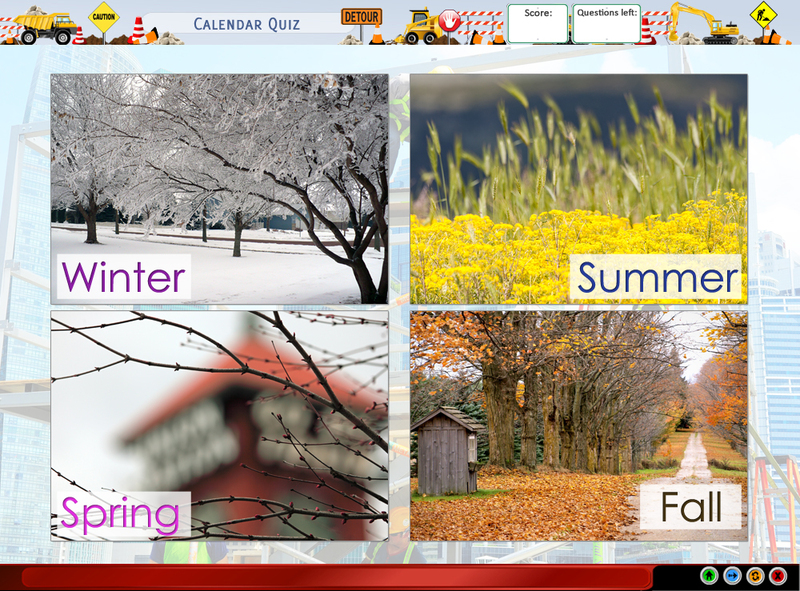 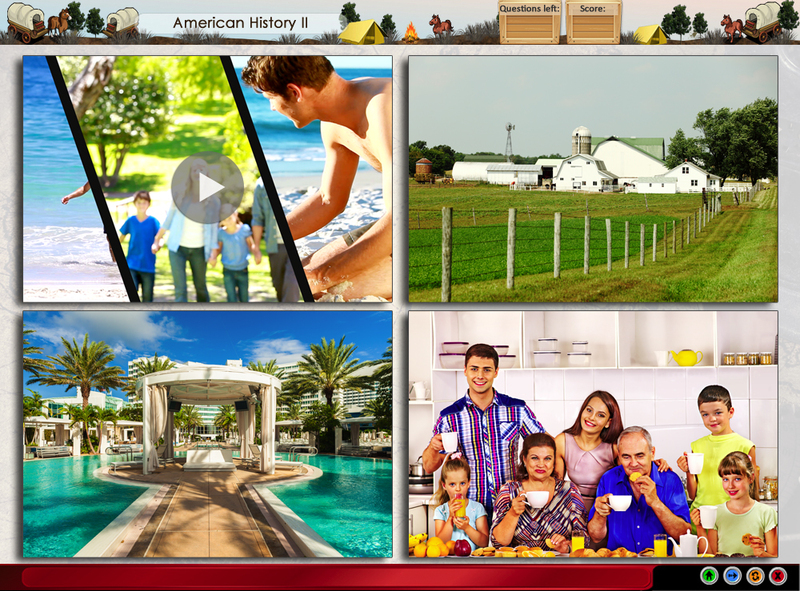 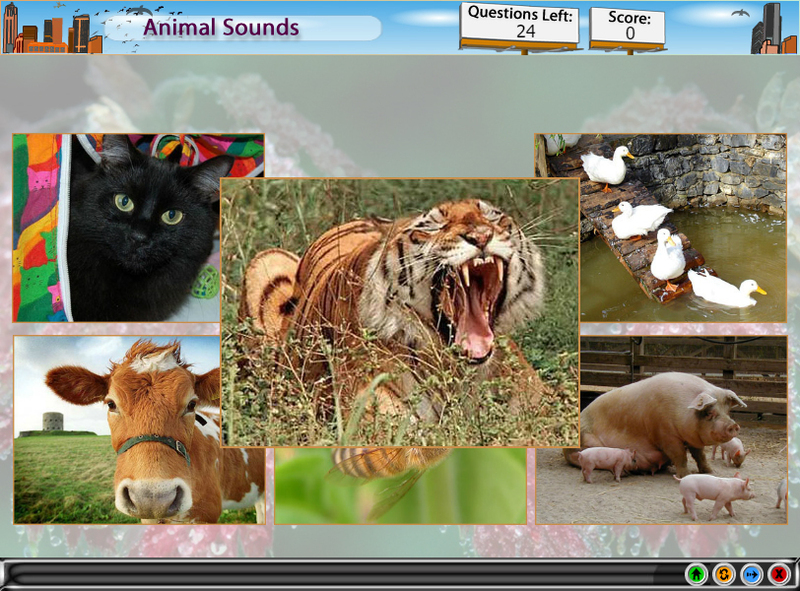 Quizzes on the ability to identify months, days and seasons. 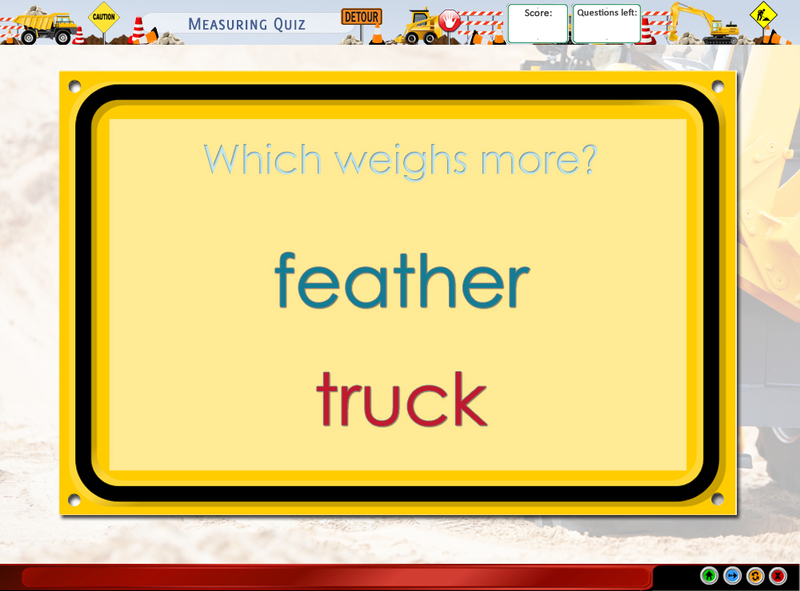 Tests ability to determine heavy vs. light, tall vs. short, least vs. most. 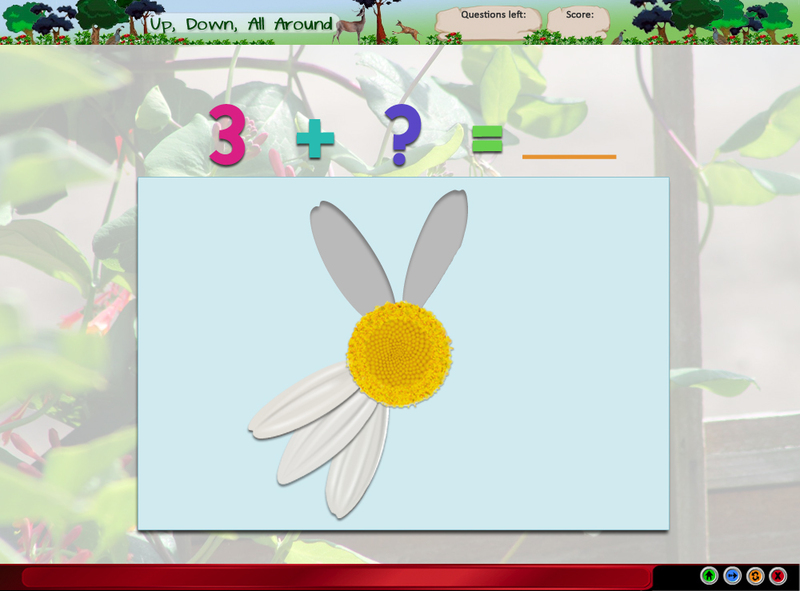 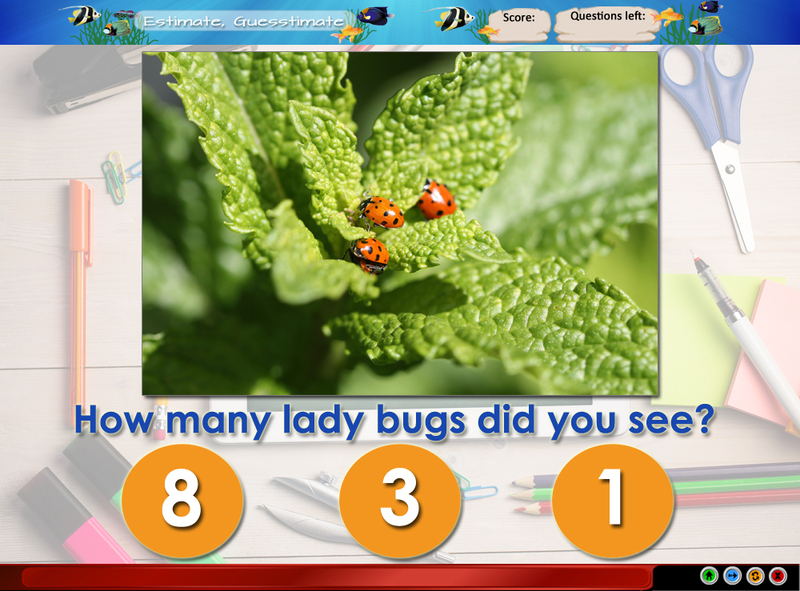 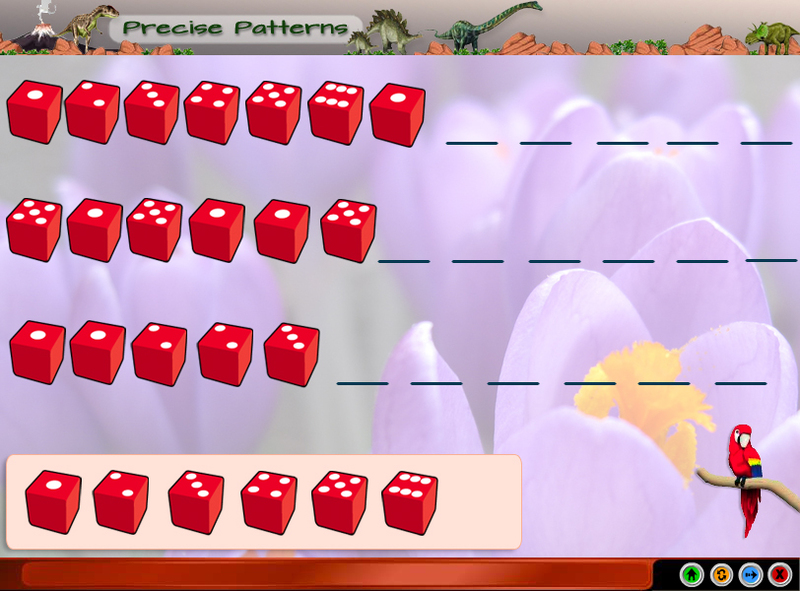 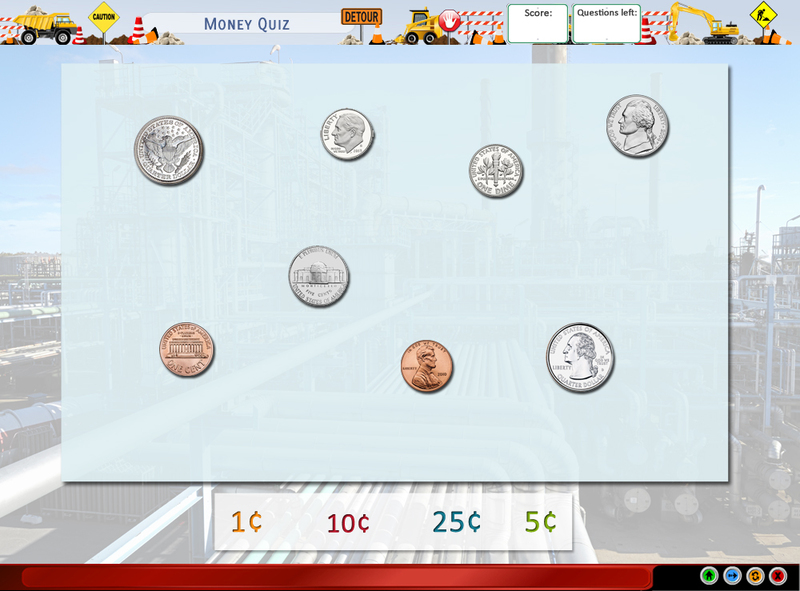 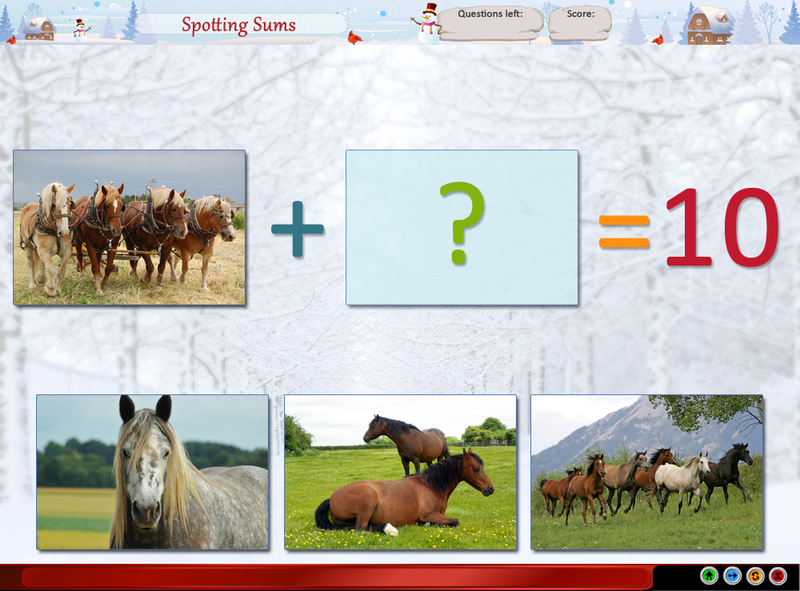 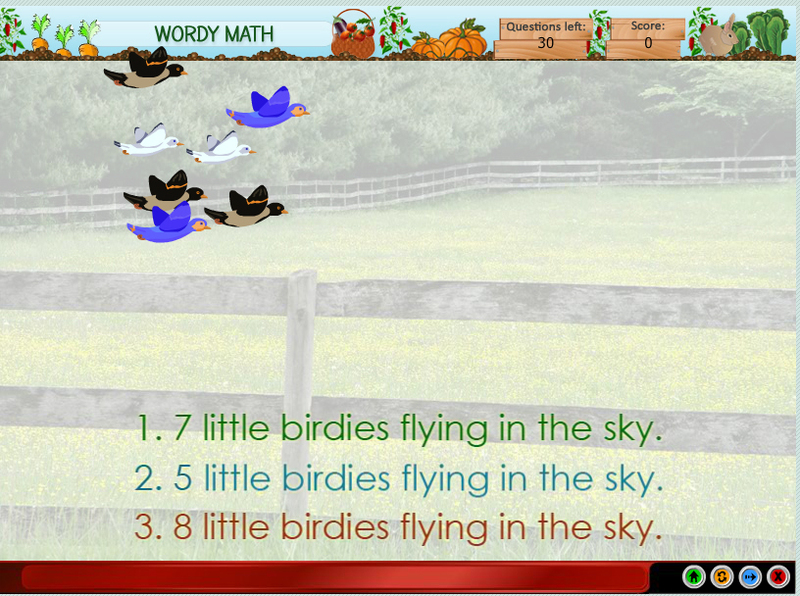 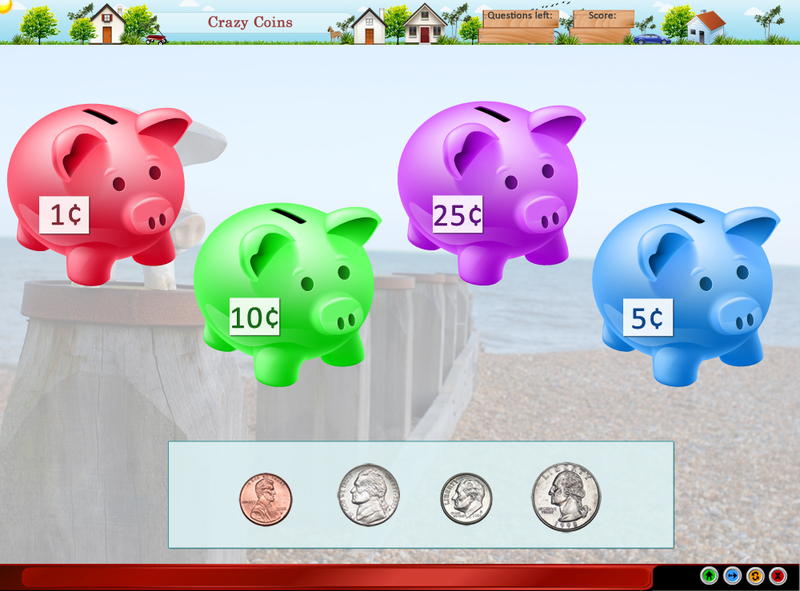 Tests the child’s ability on identifying coins, value of coins, and adding coins to find the sum. 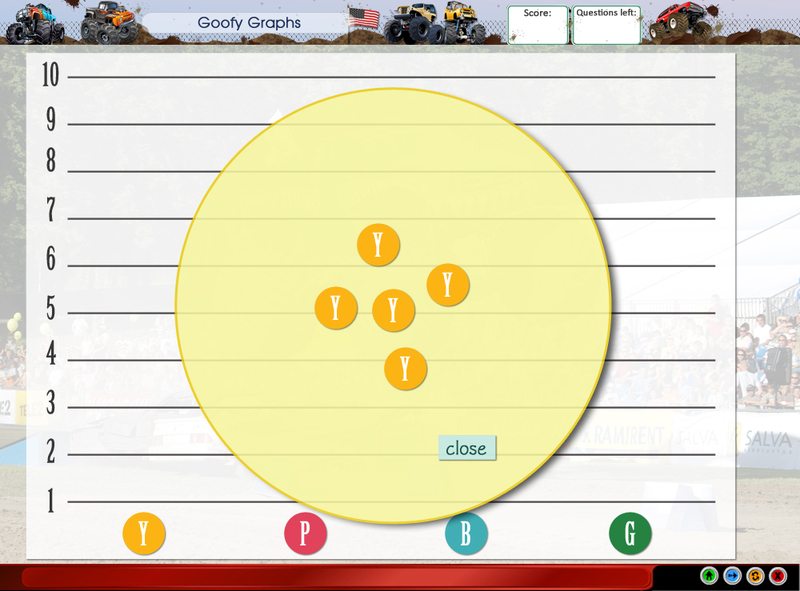 Tests ability to graph given data.